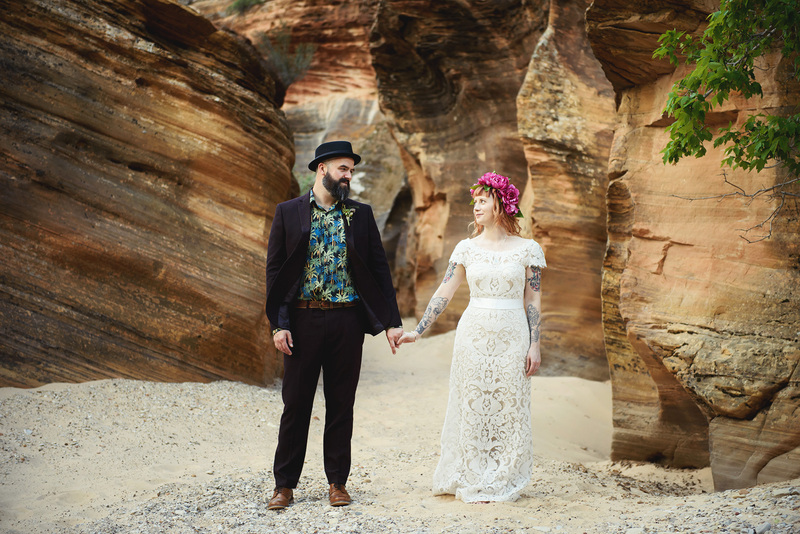 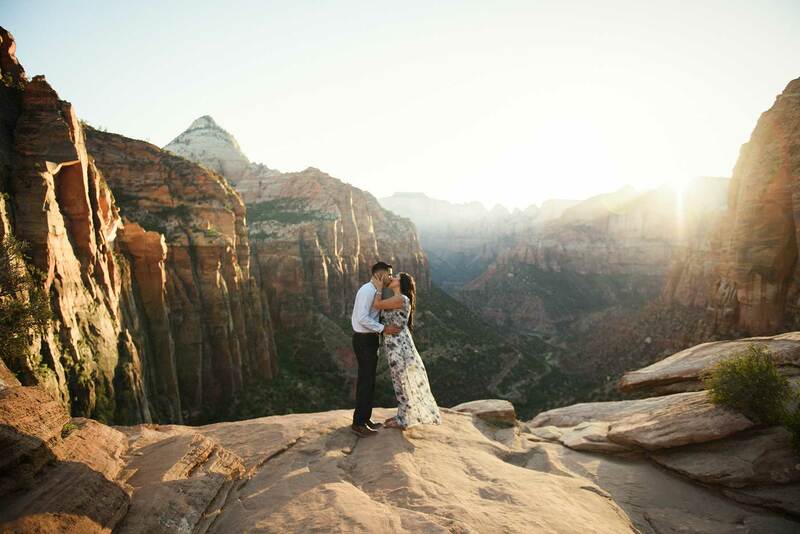 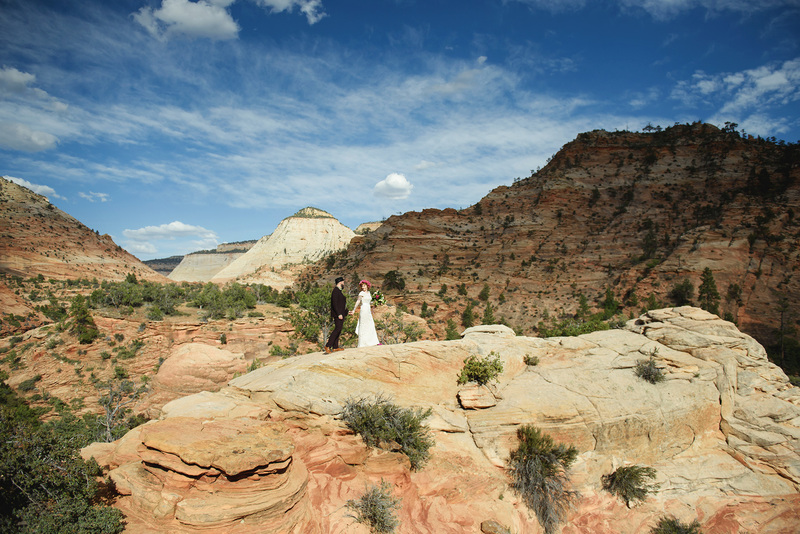 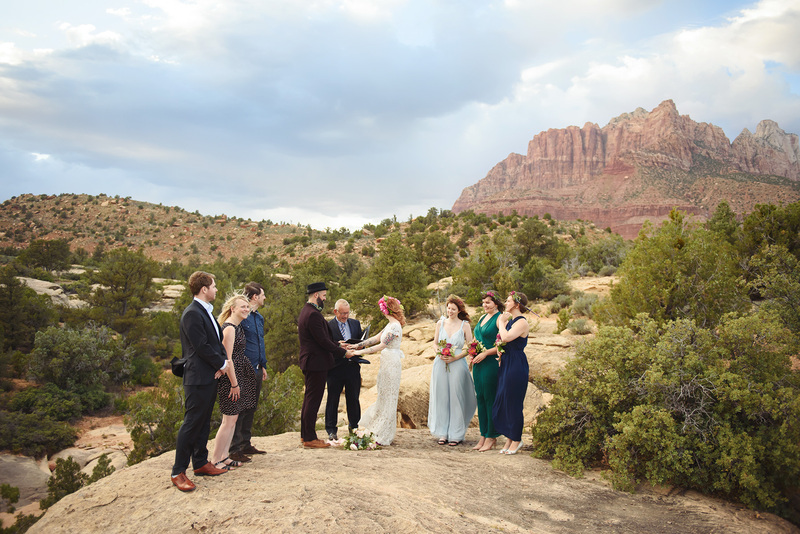 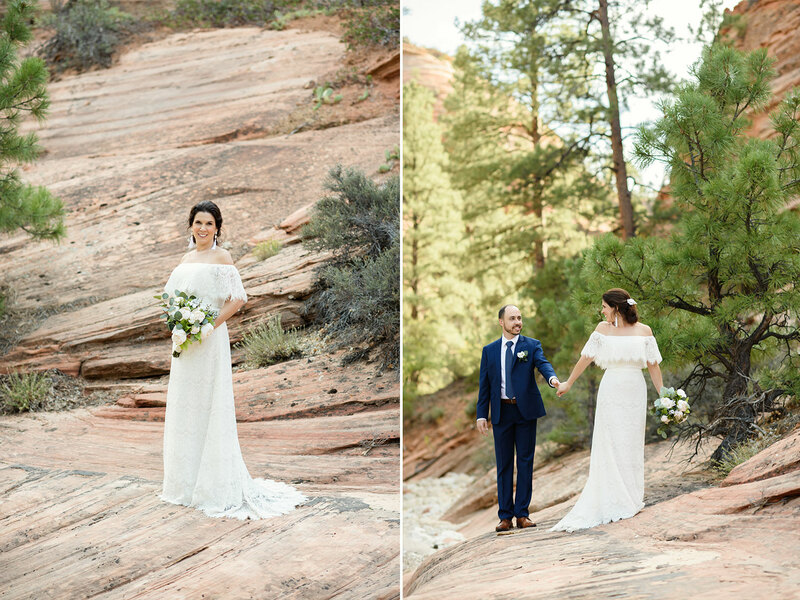 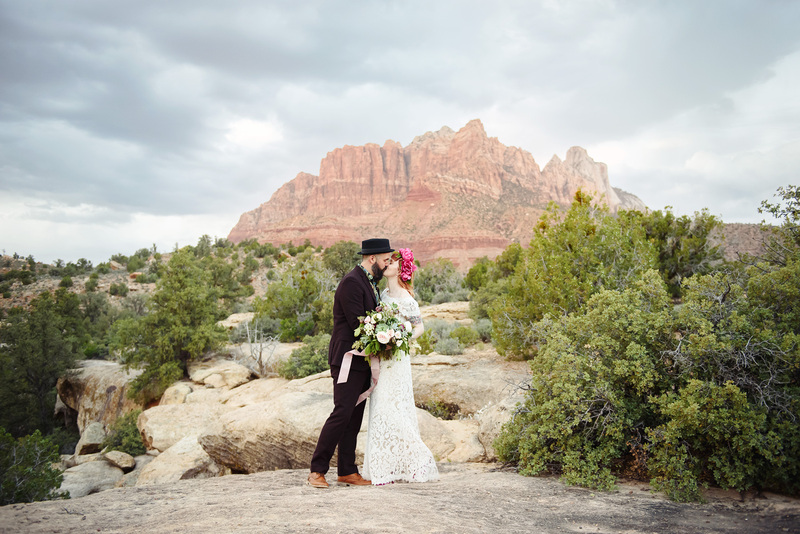 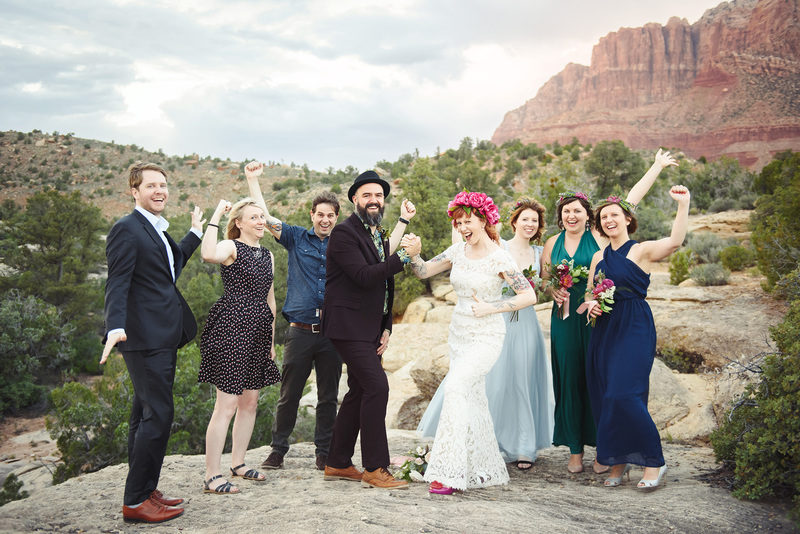 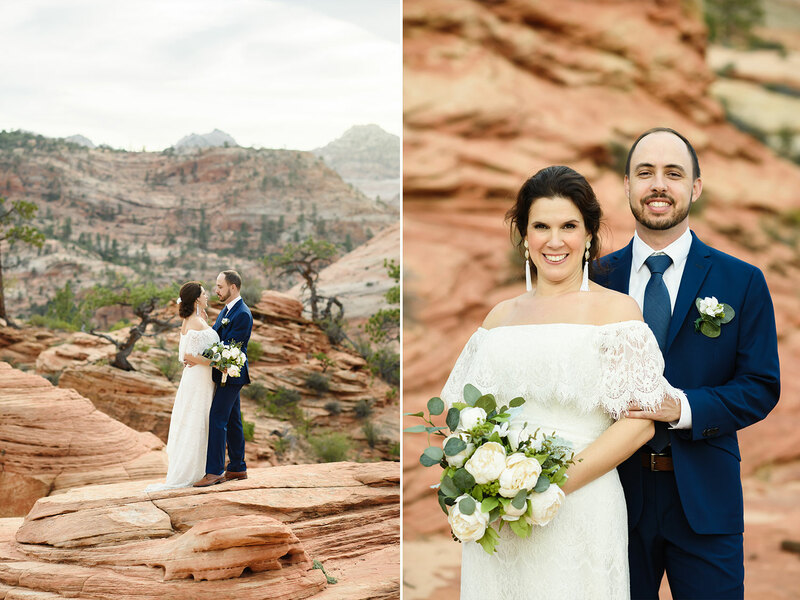 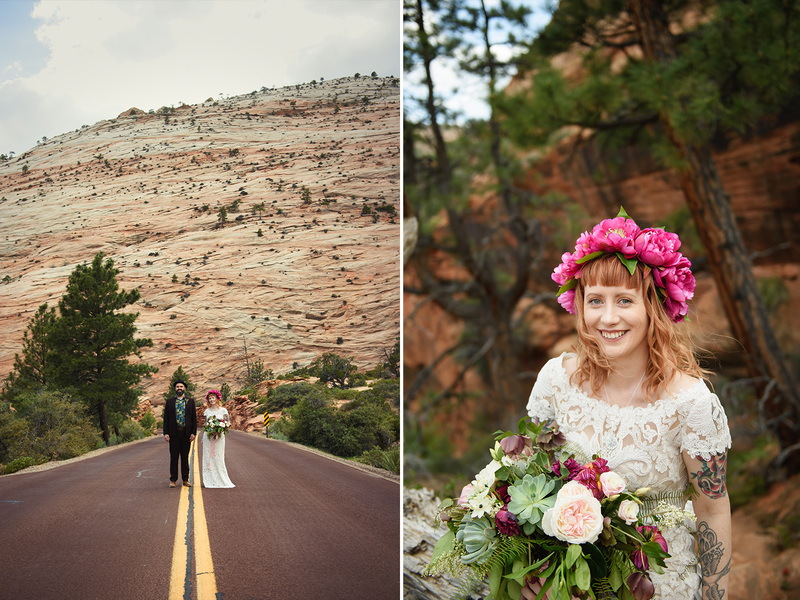 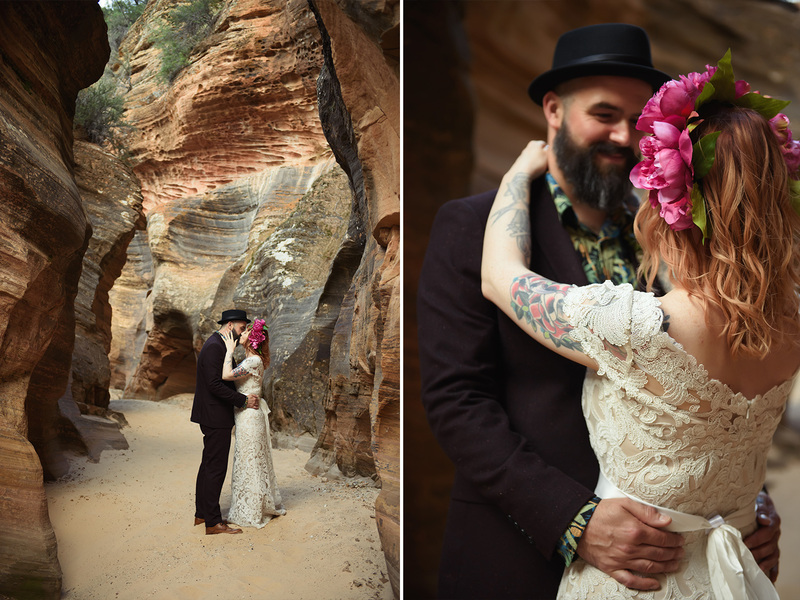 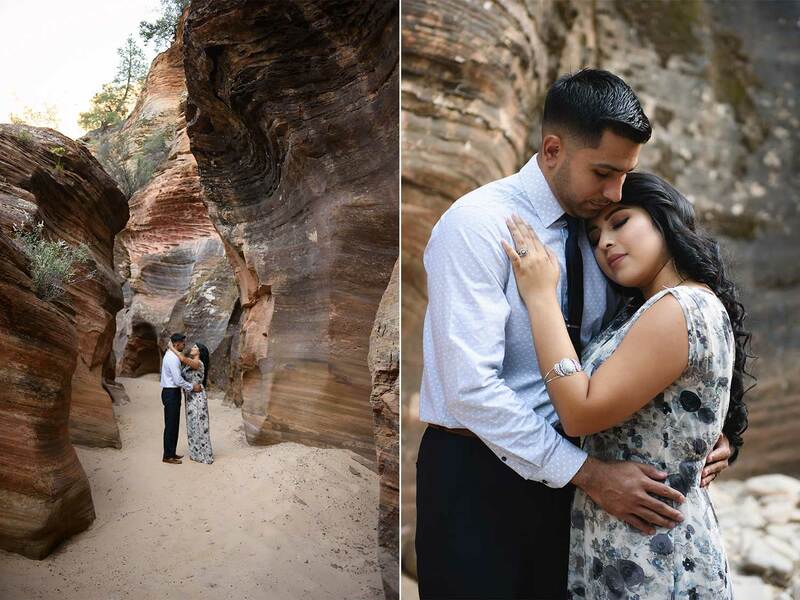 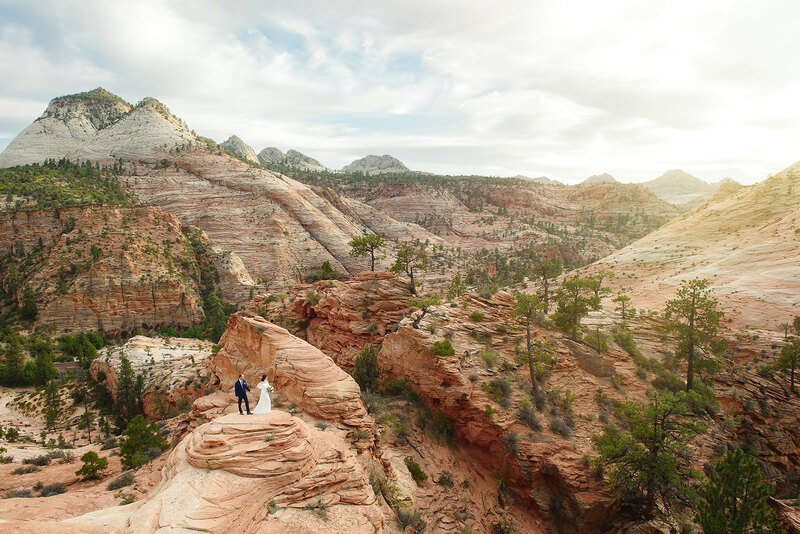 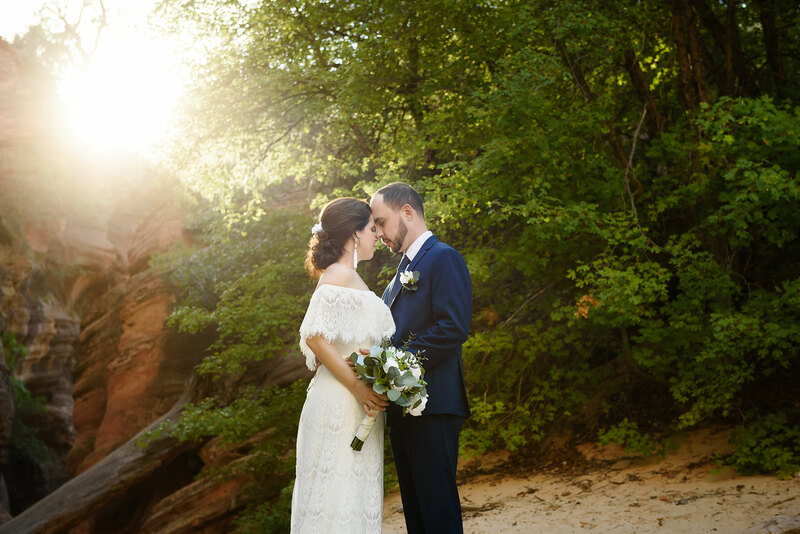 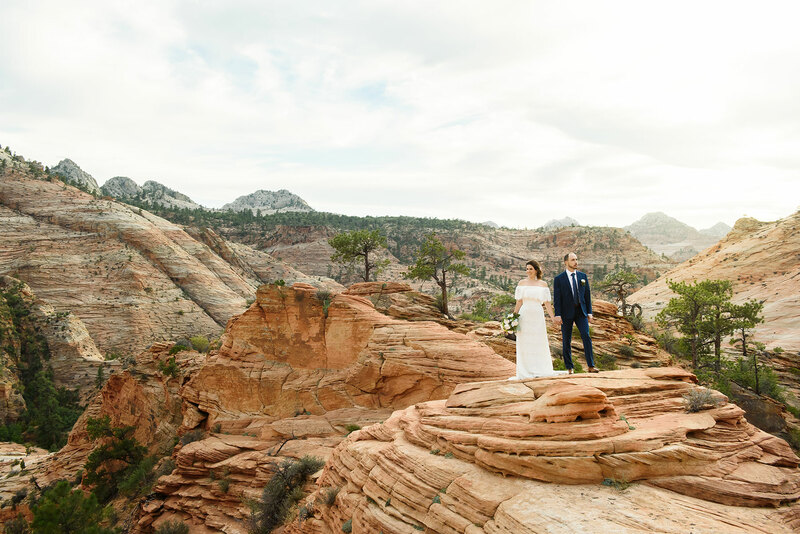 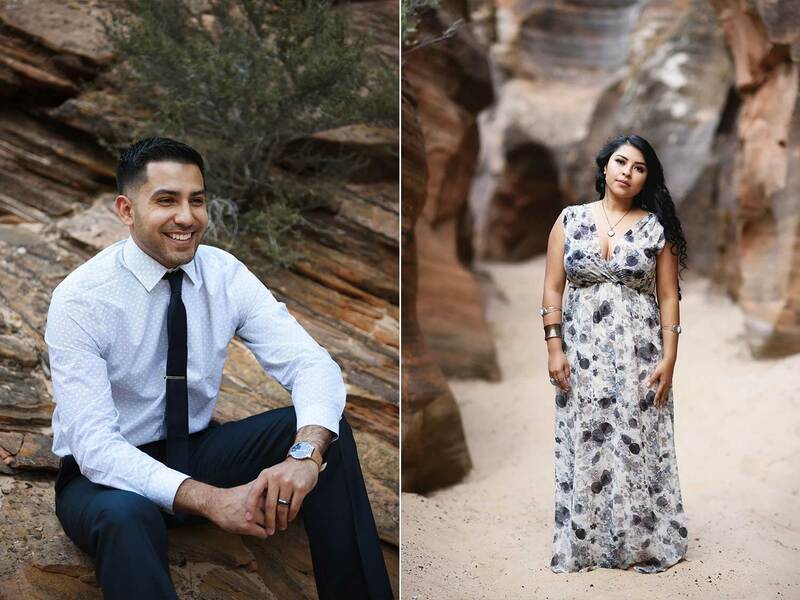 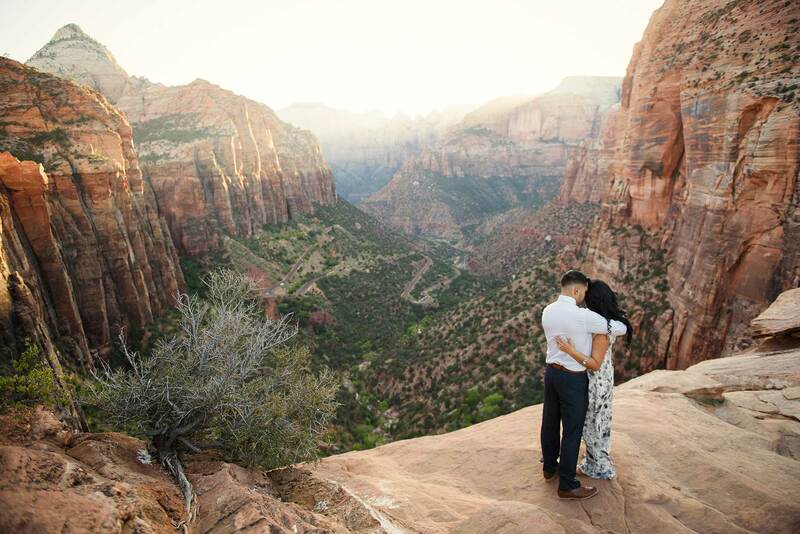 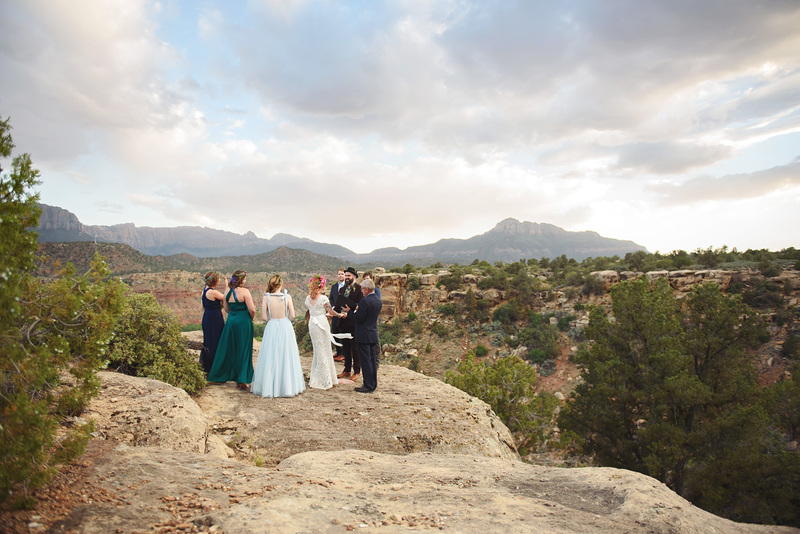 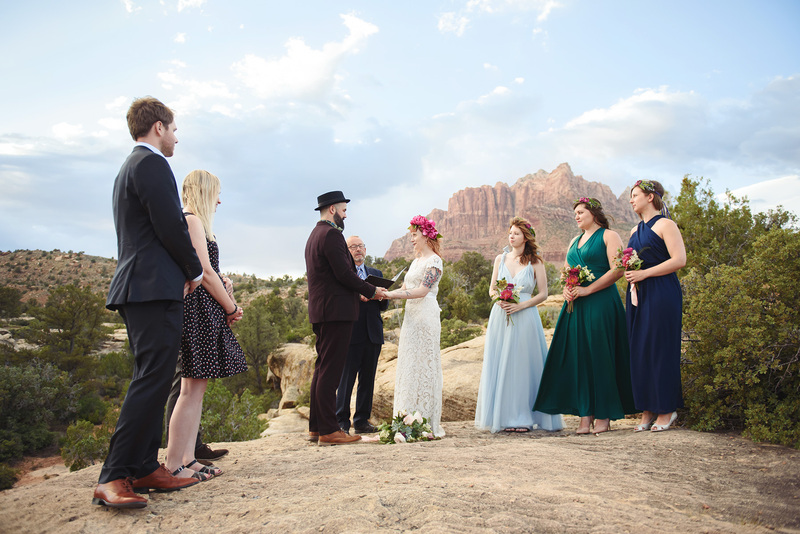 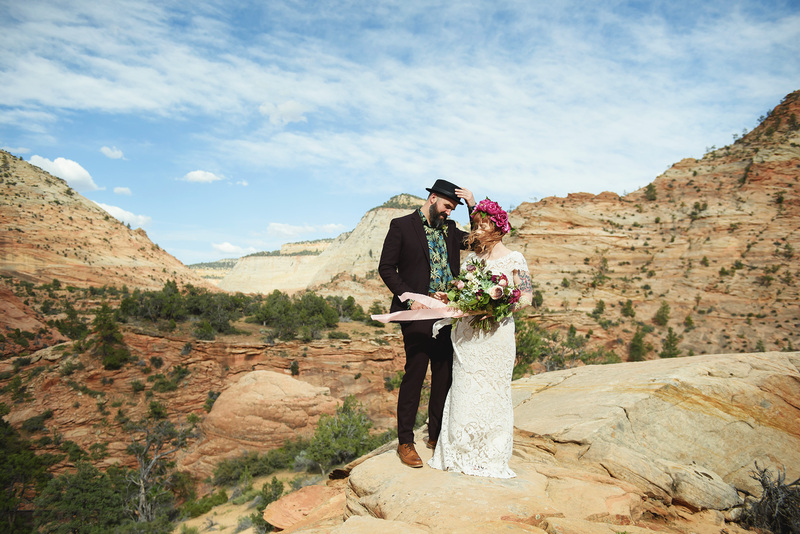 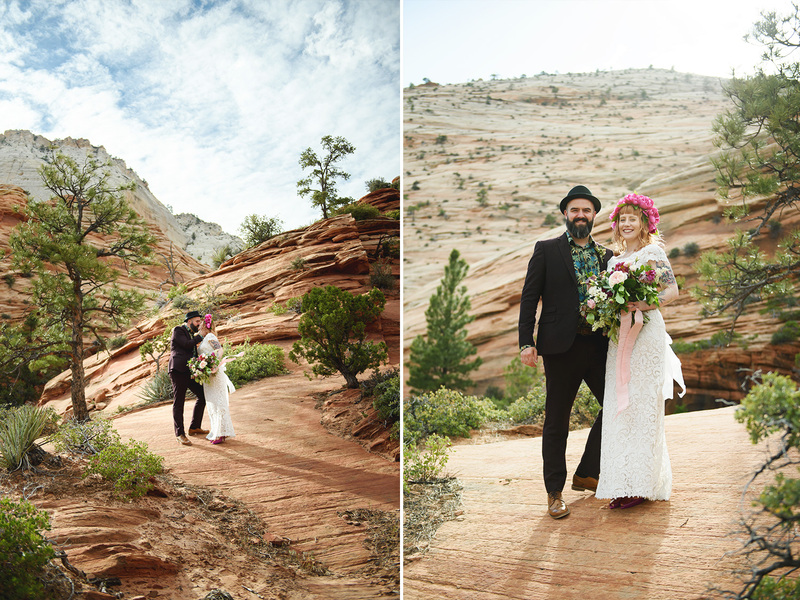 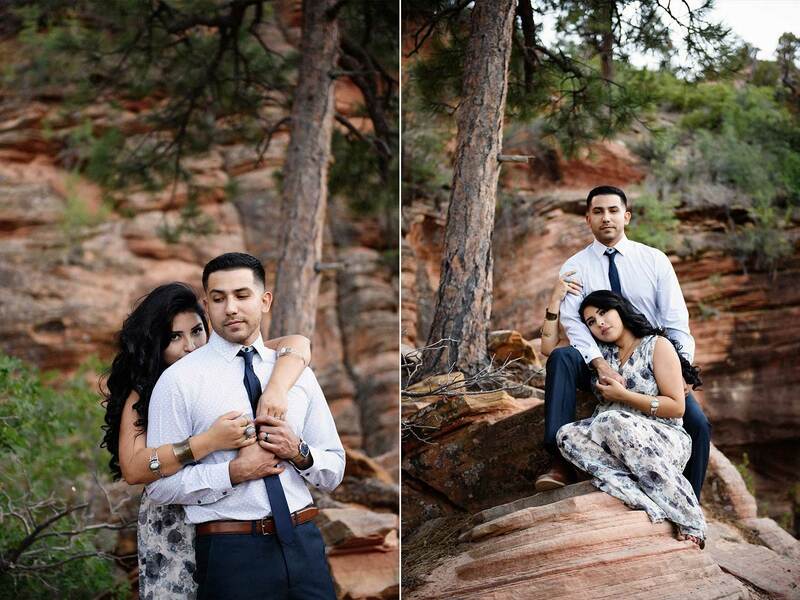 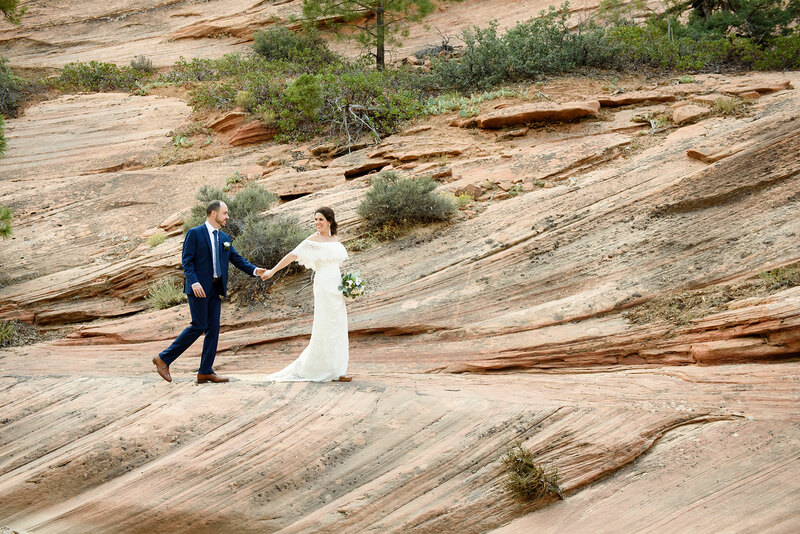 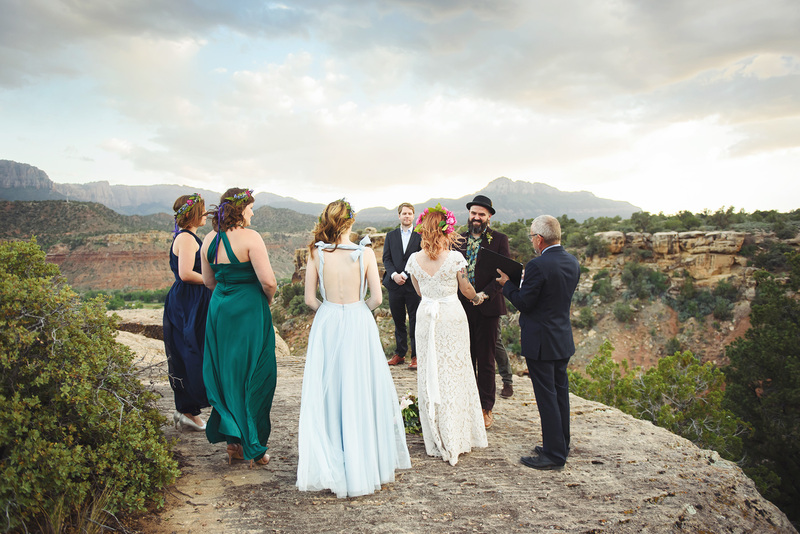 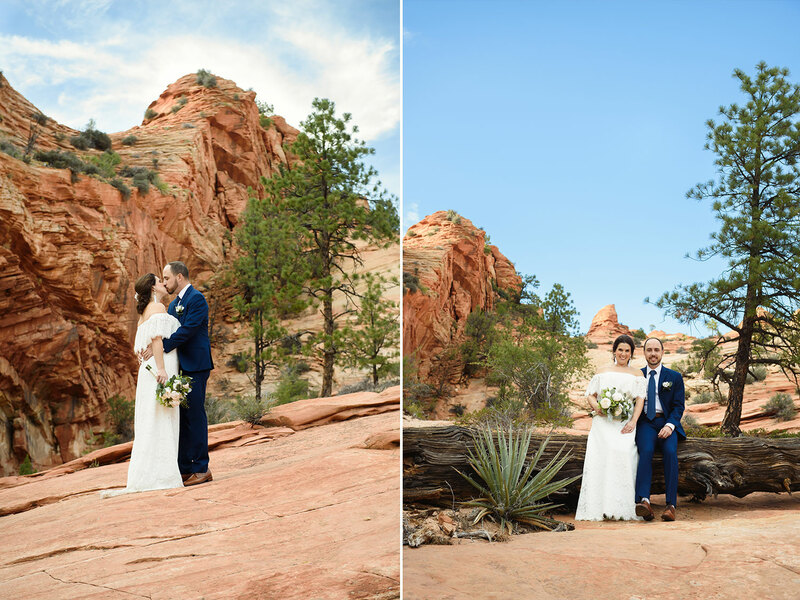 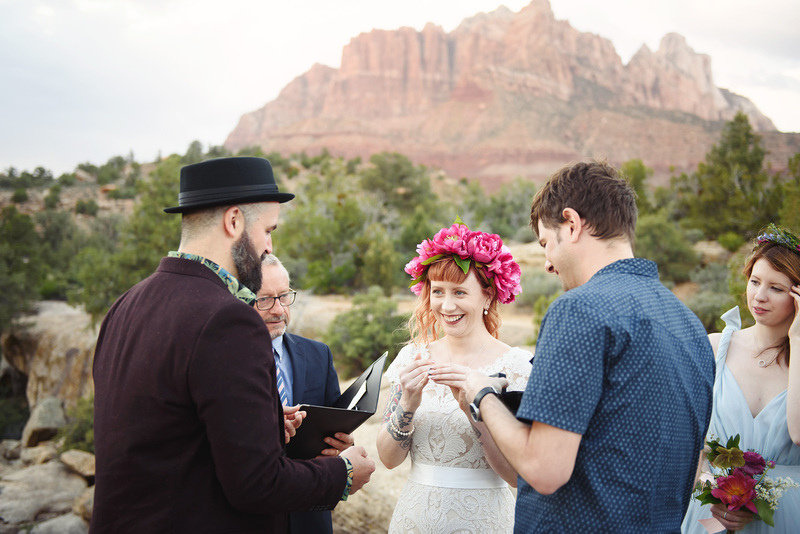 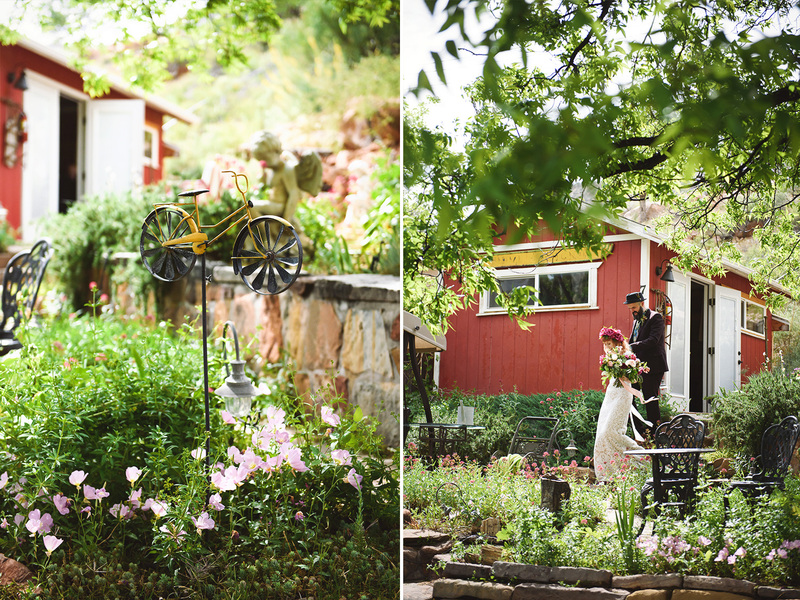 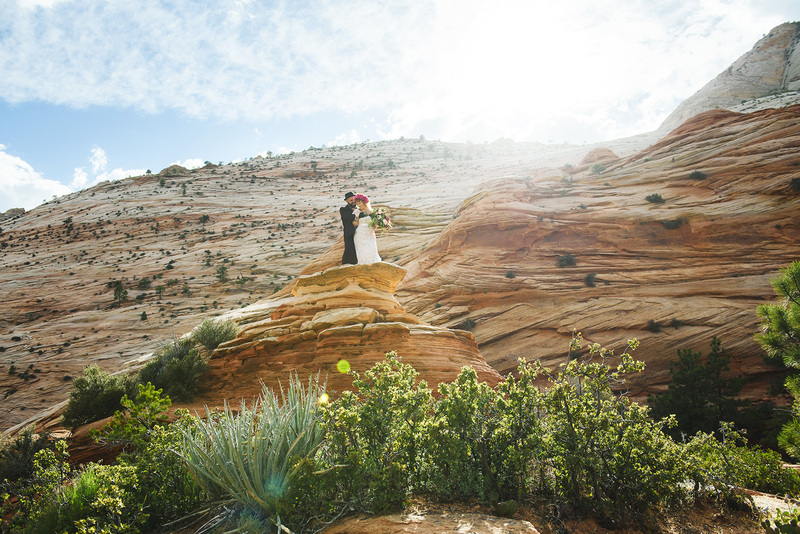 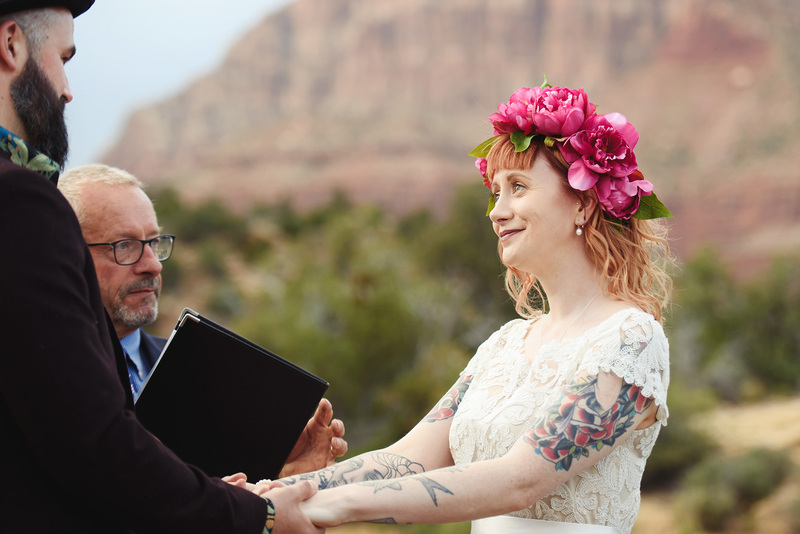 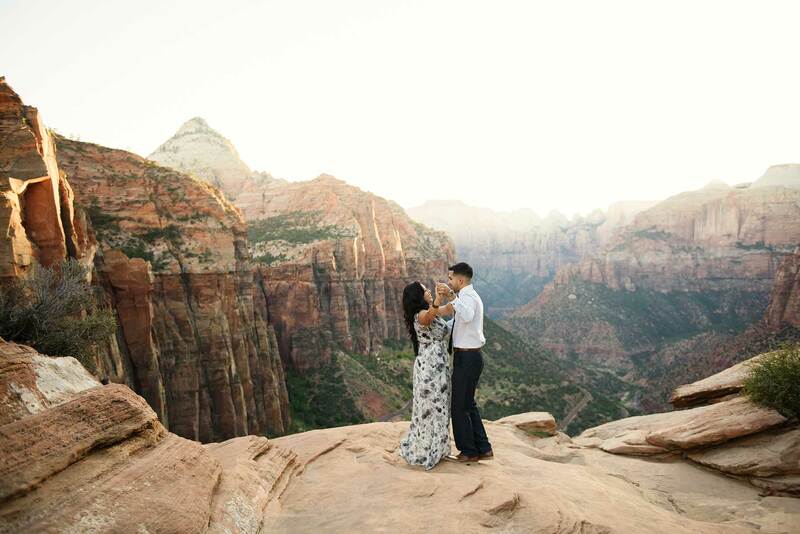 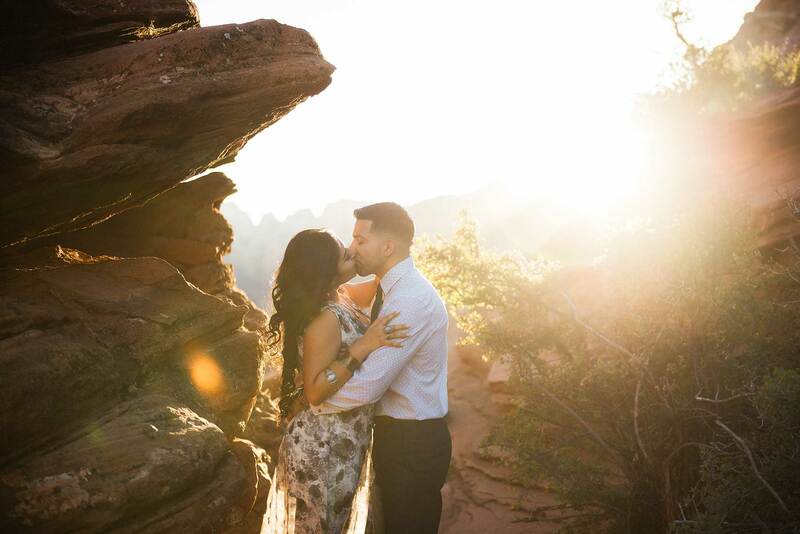 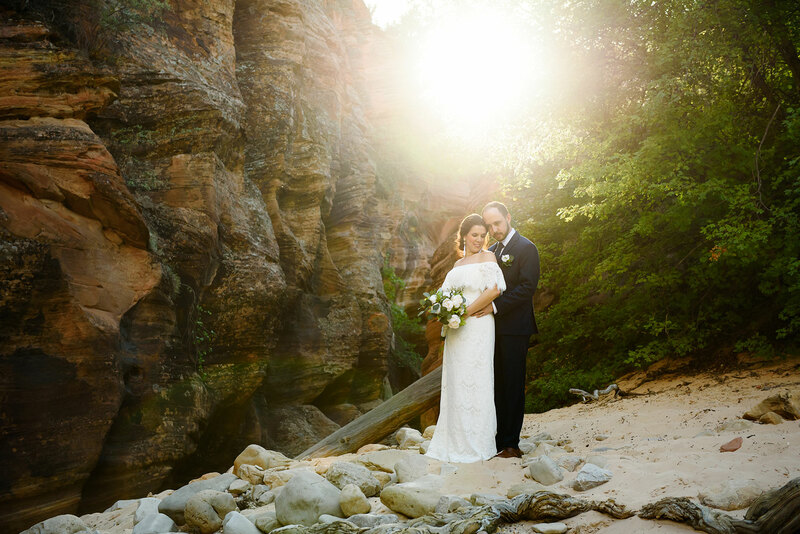 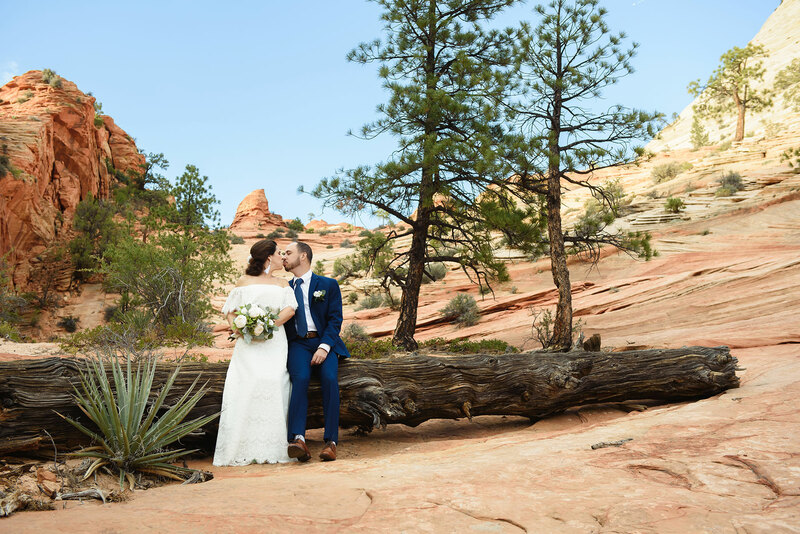 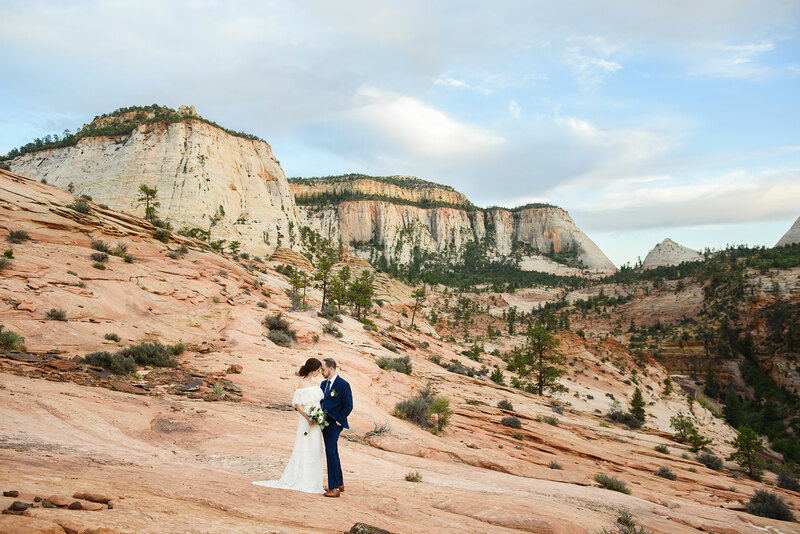 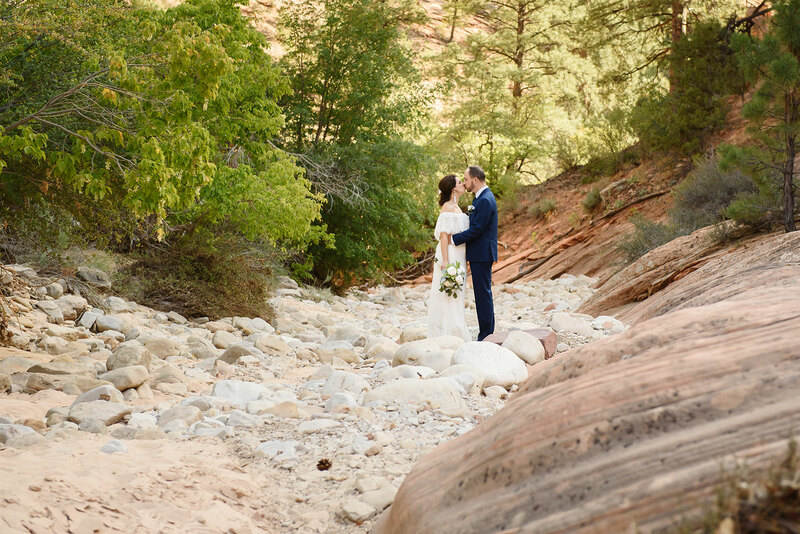 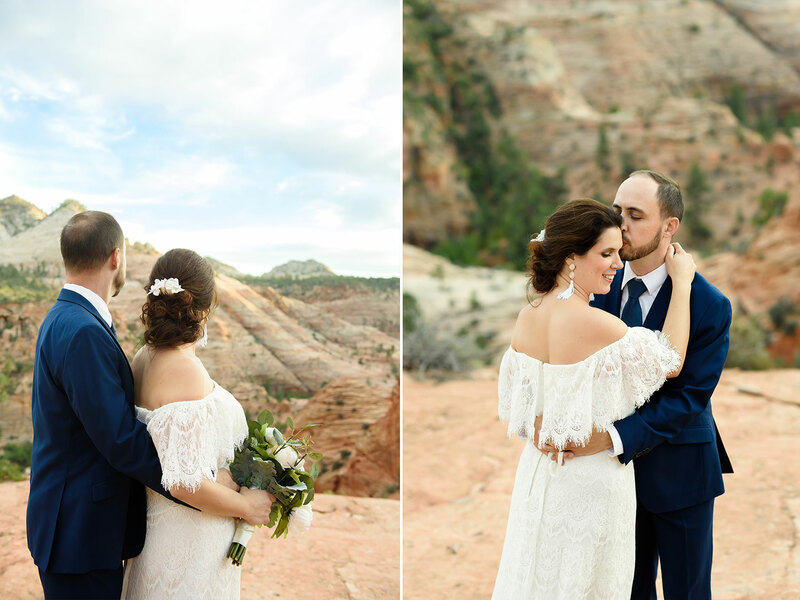 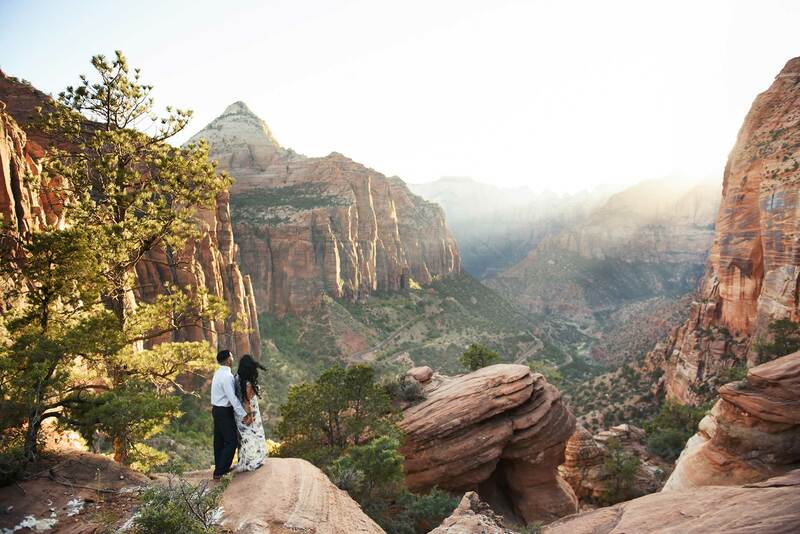 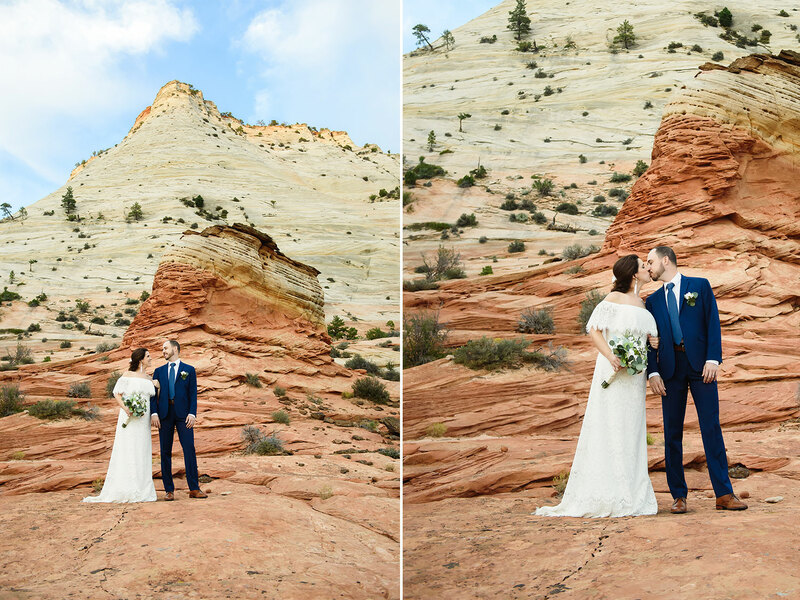 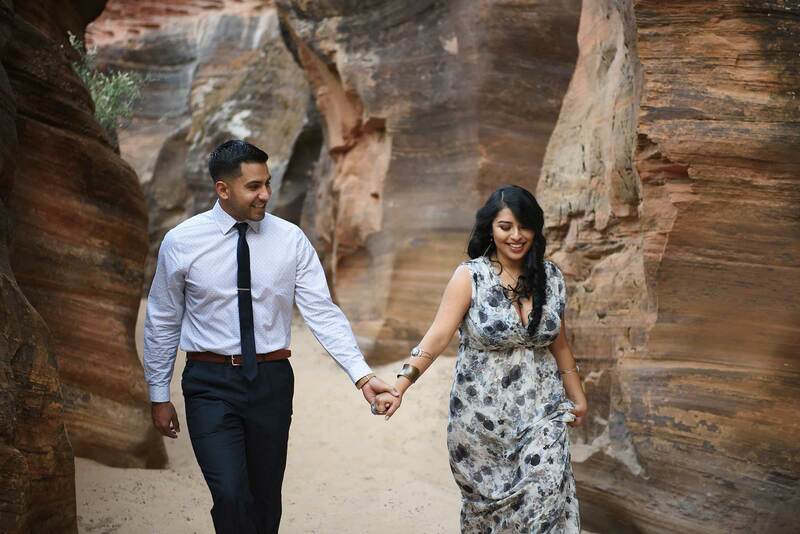 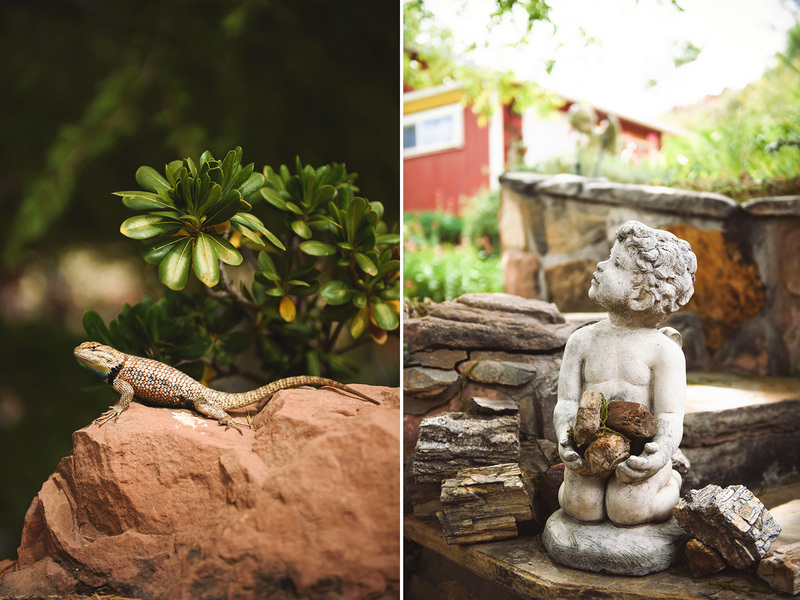 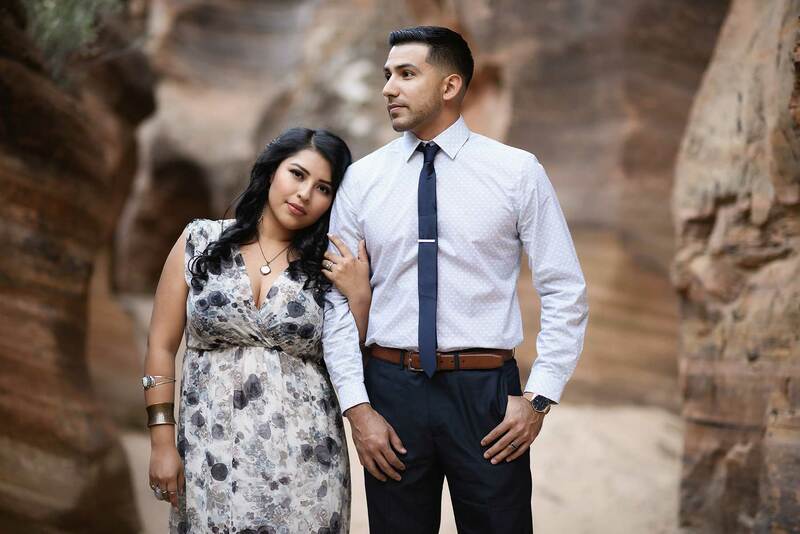 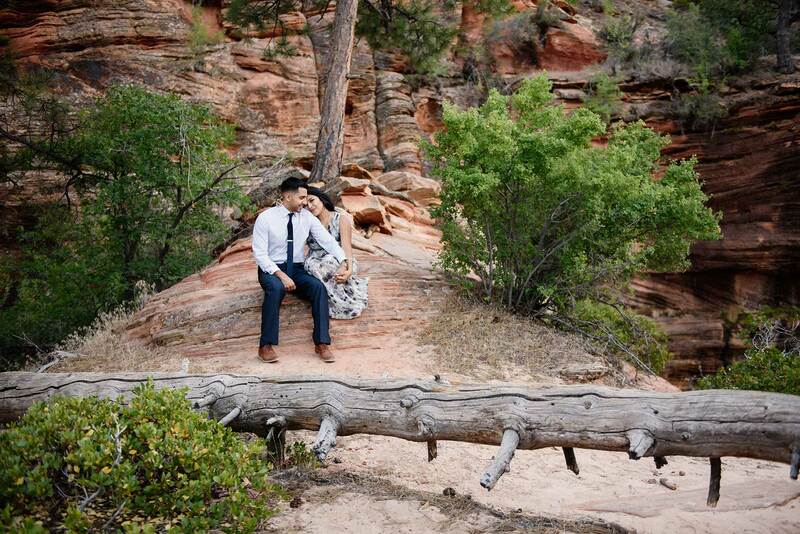 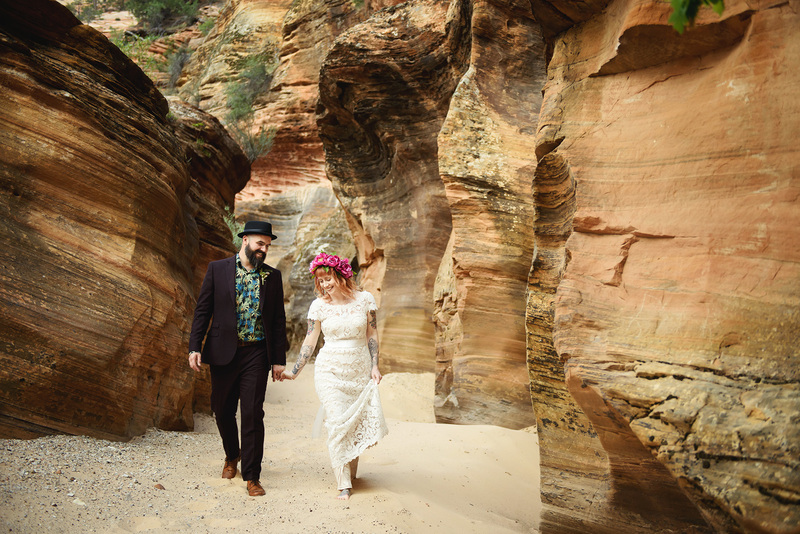 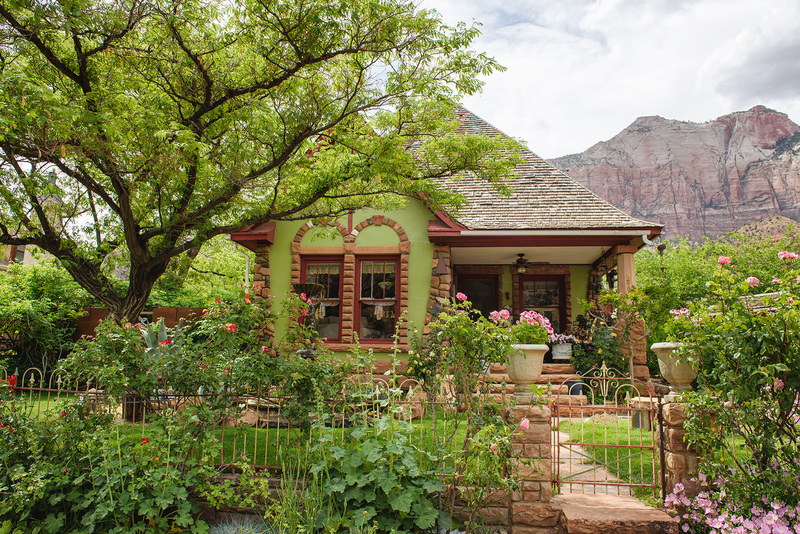 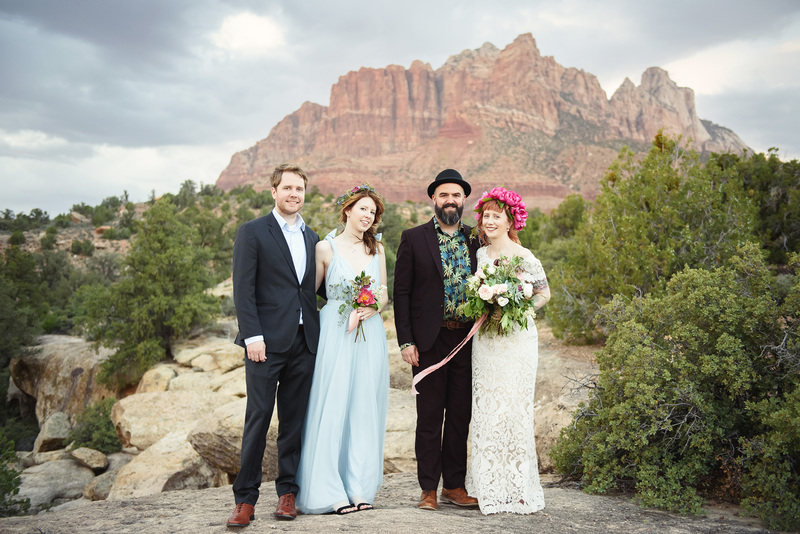 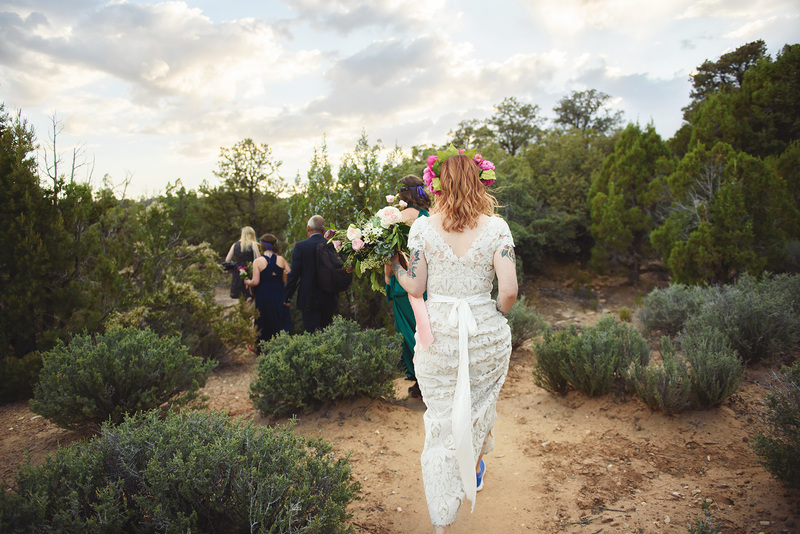 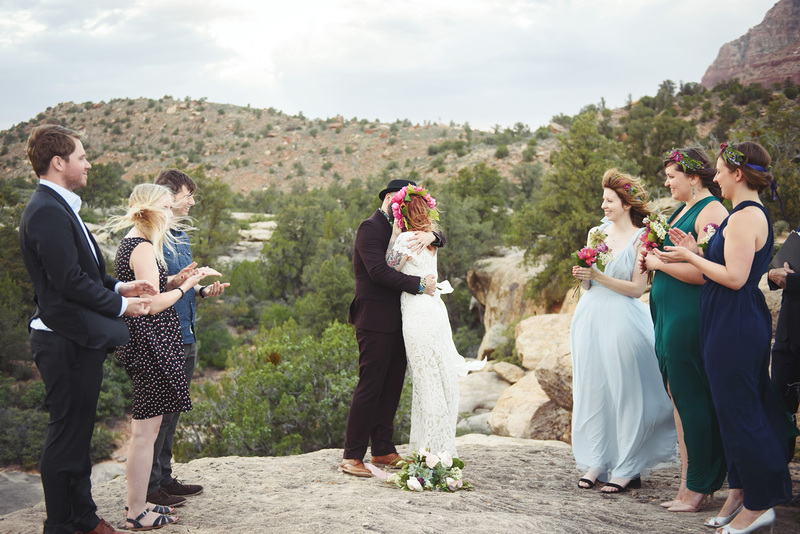 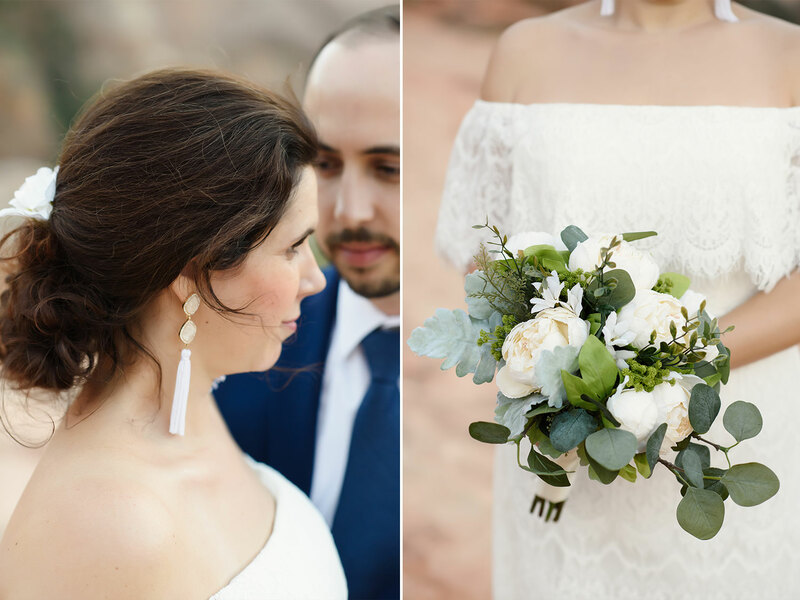 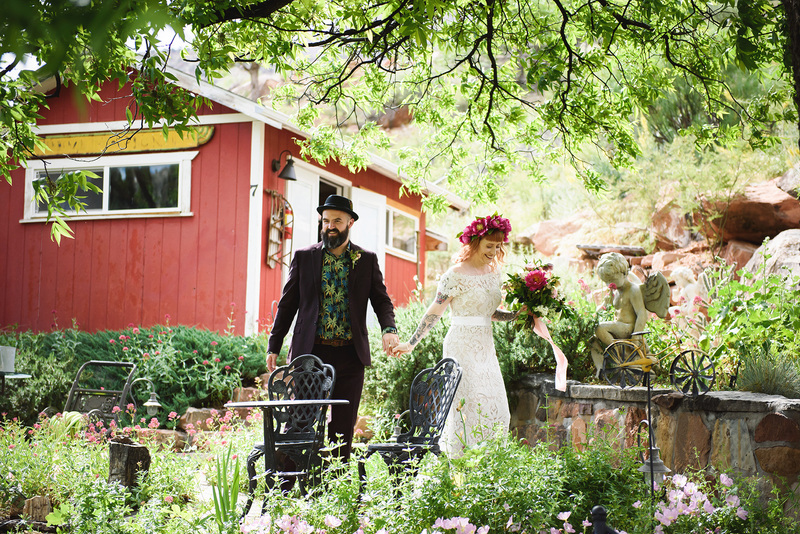 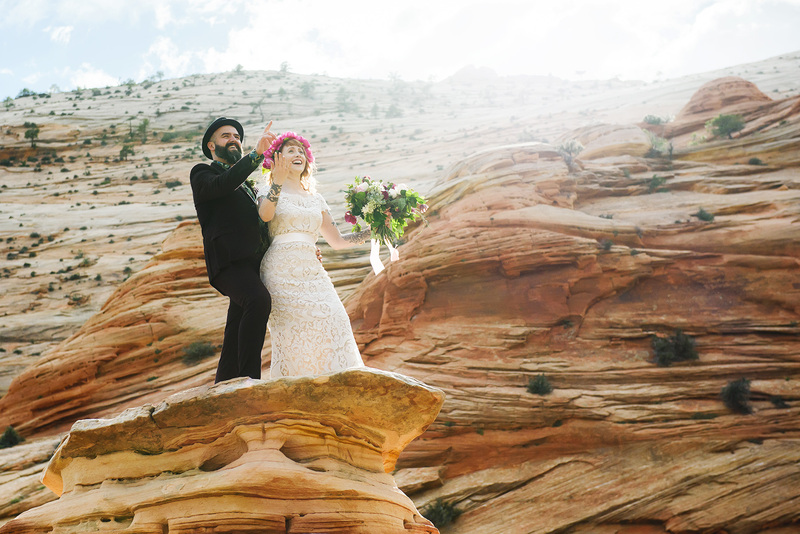 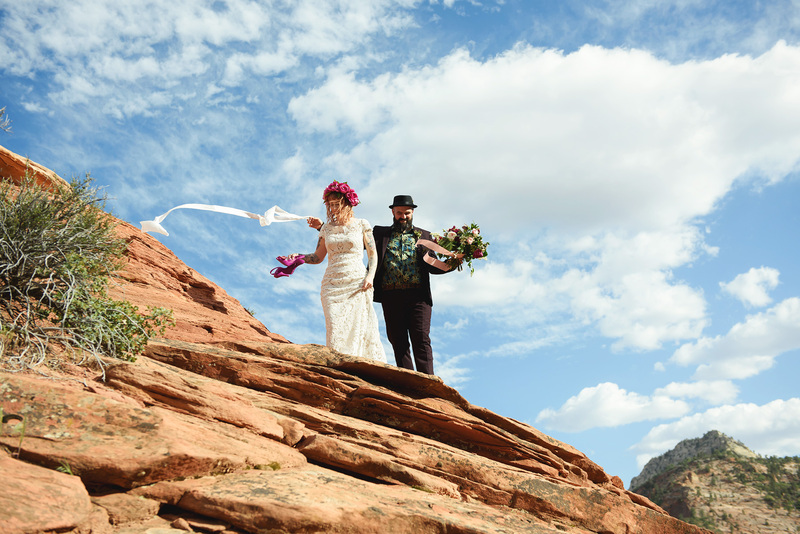 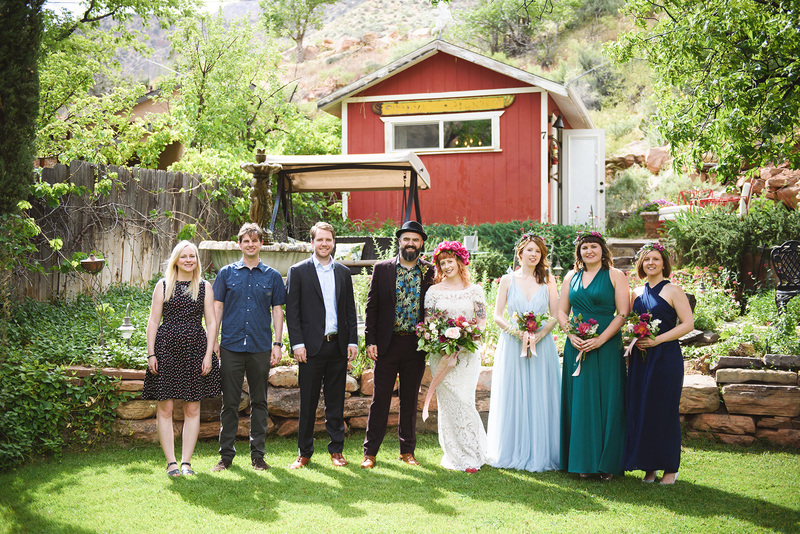 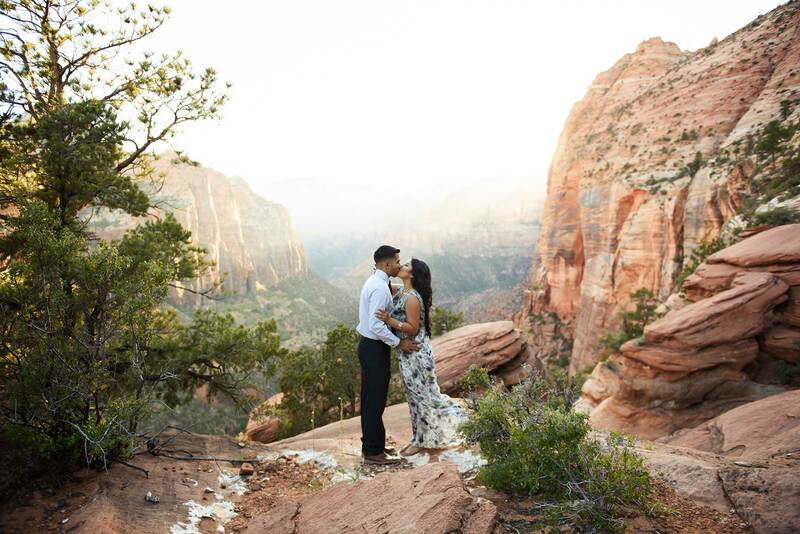 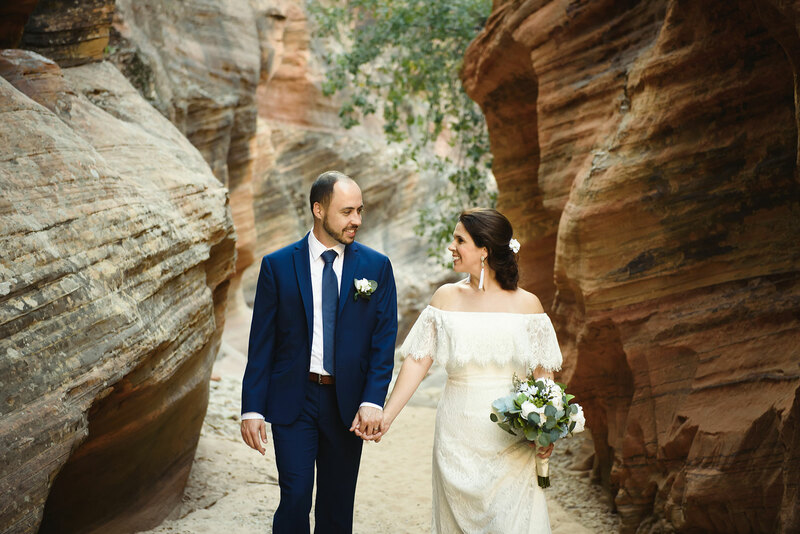 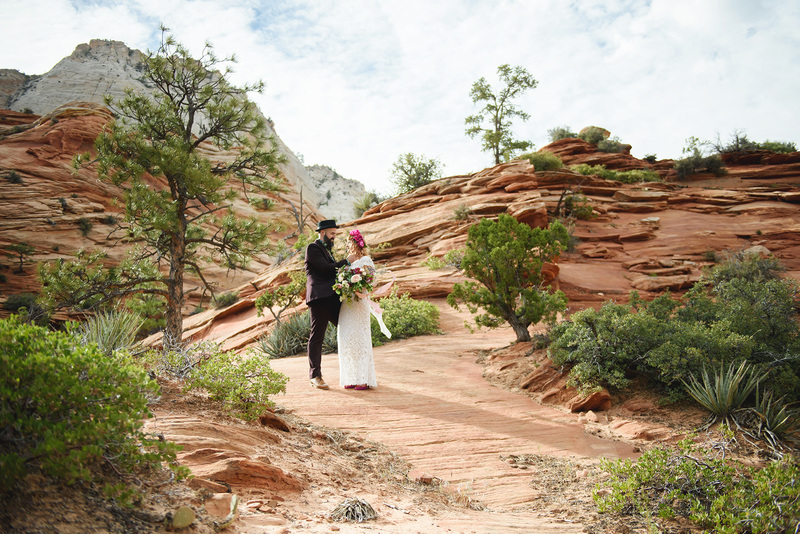 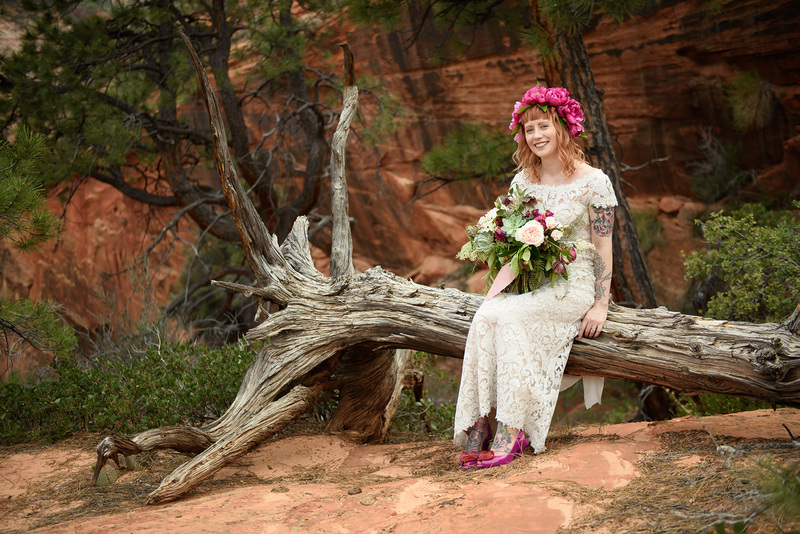 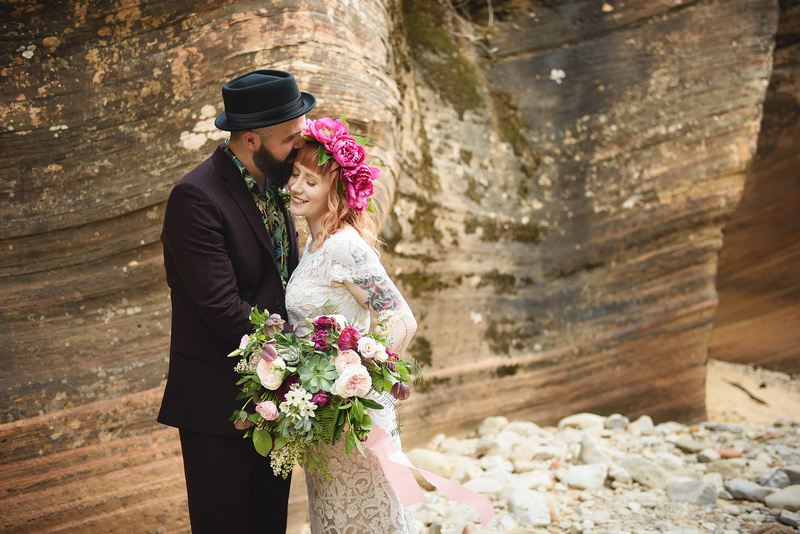 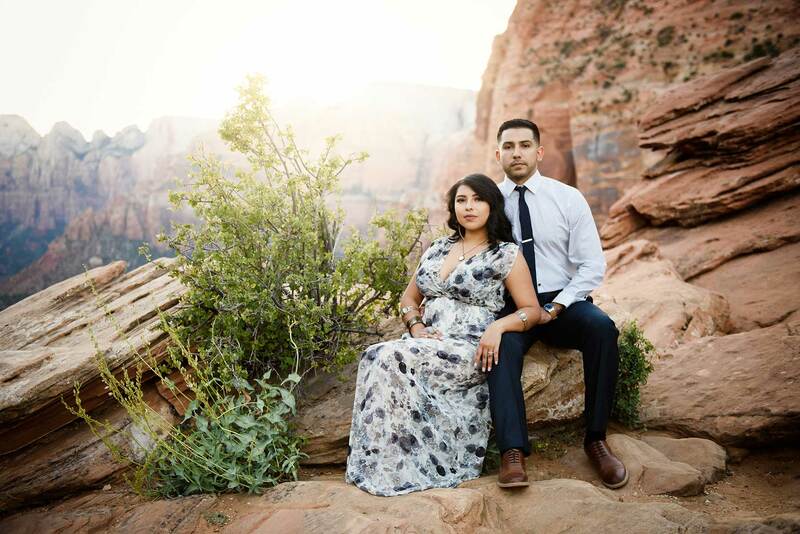 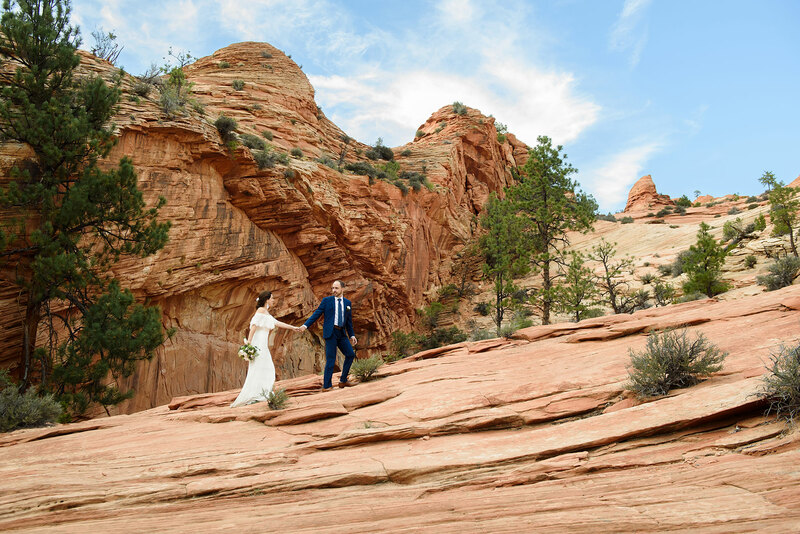 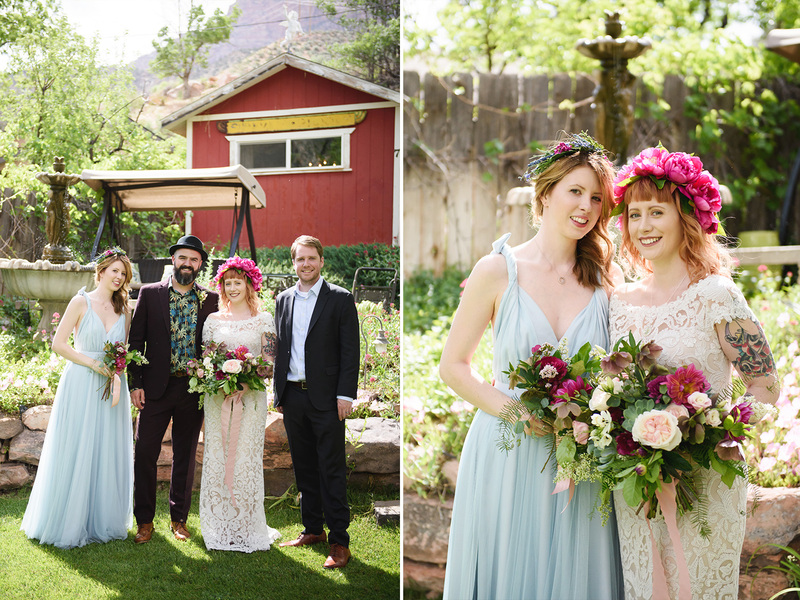 Nansi & Jamie traveled all the way from the UK to elope to Zion National Park. 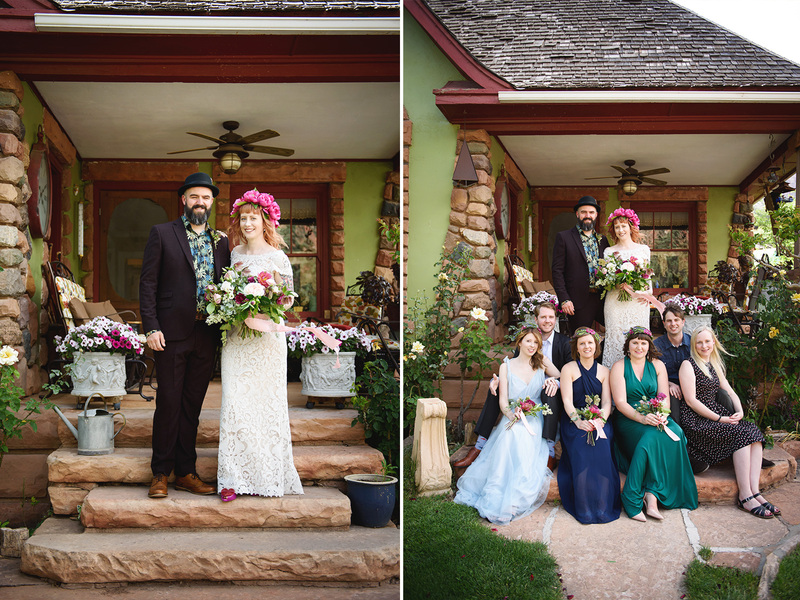 They stayed at Under the Eaves in Springdale. 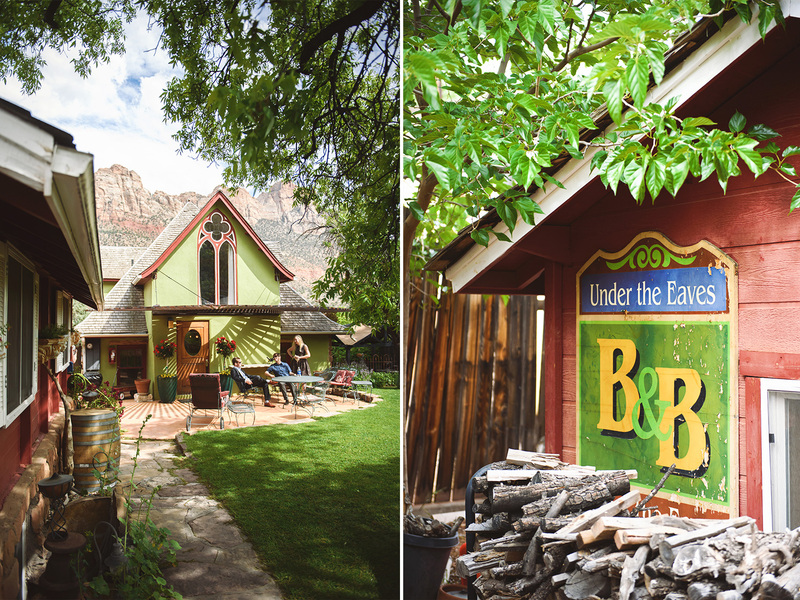 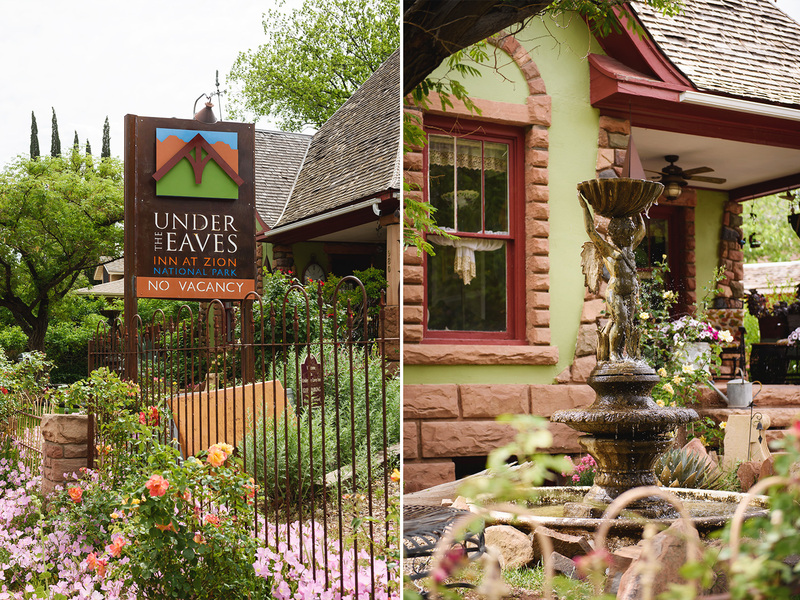 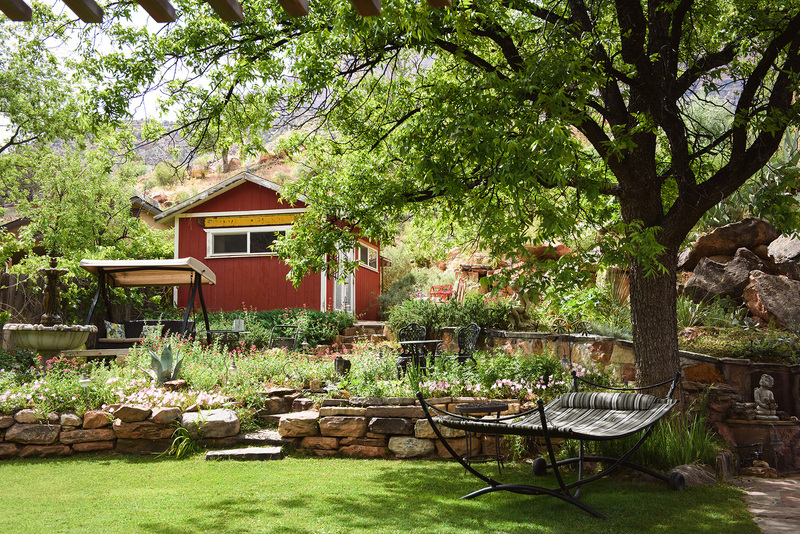 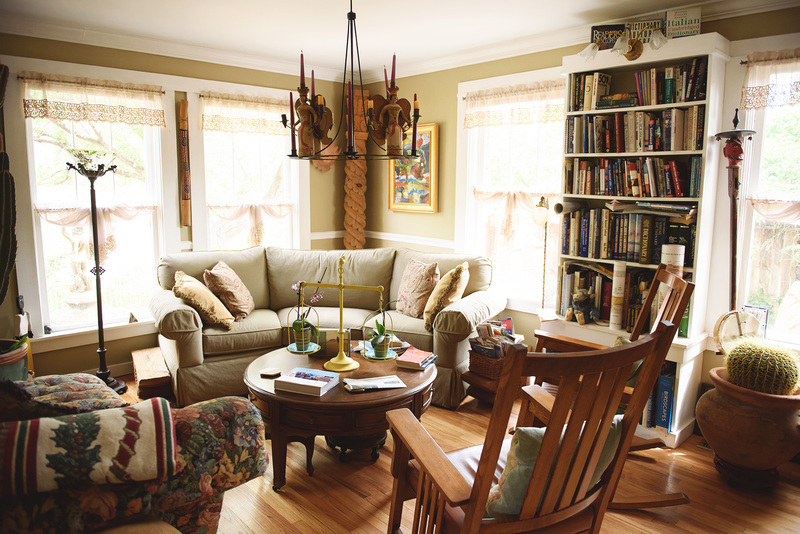 I love this adorable B&B. 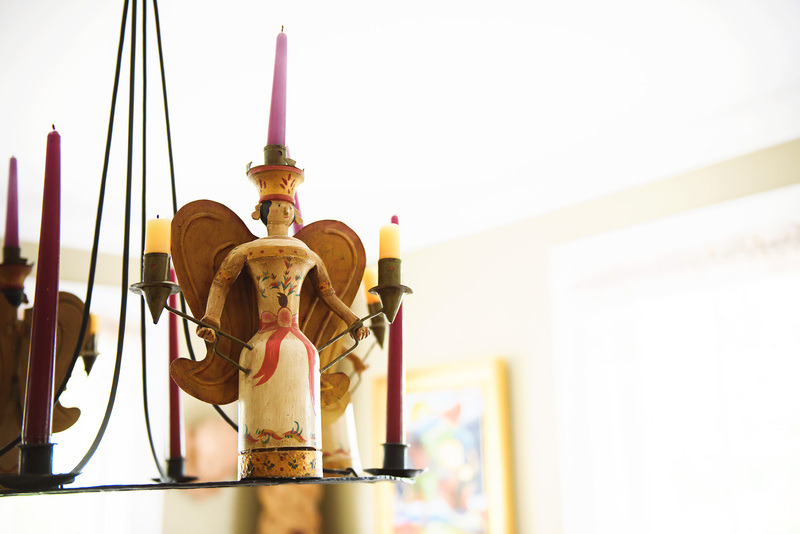 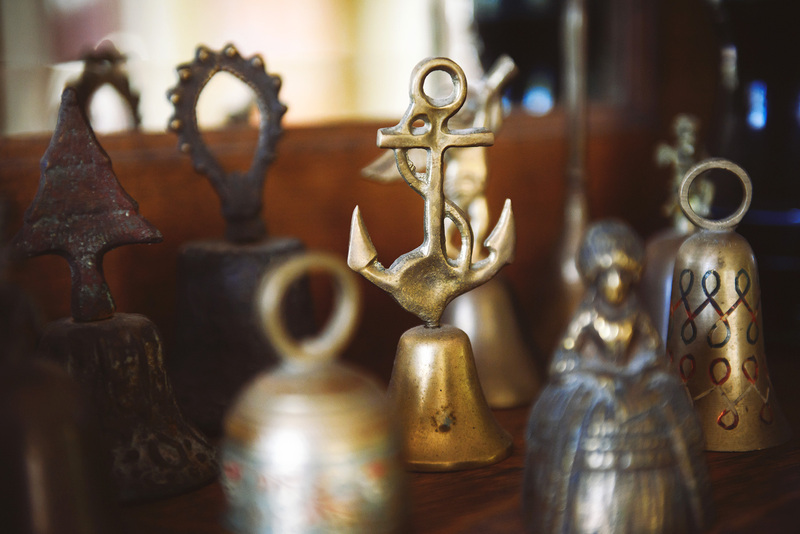 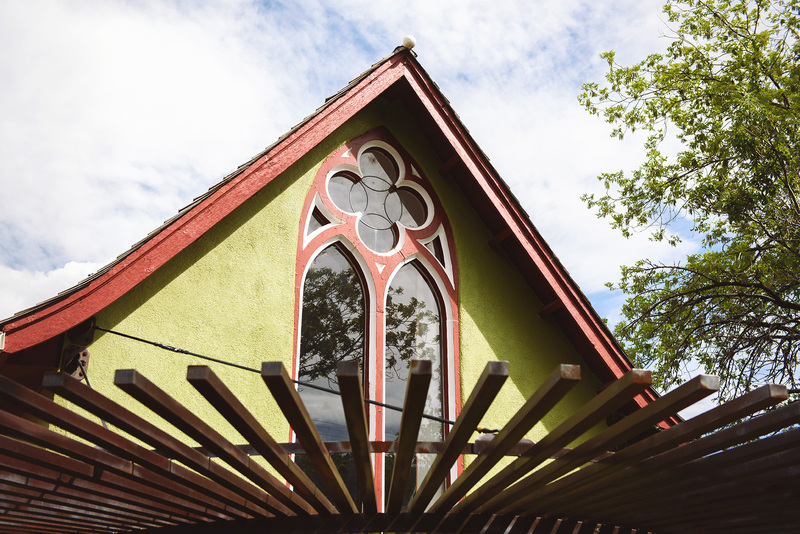 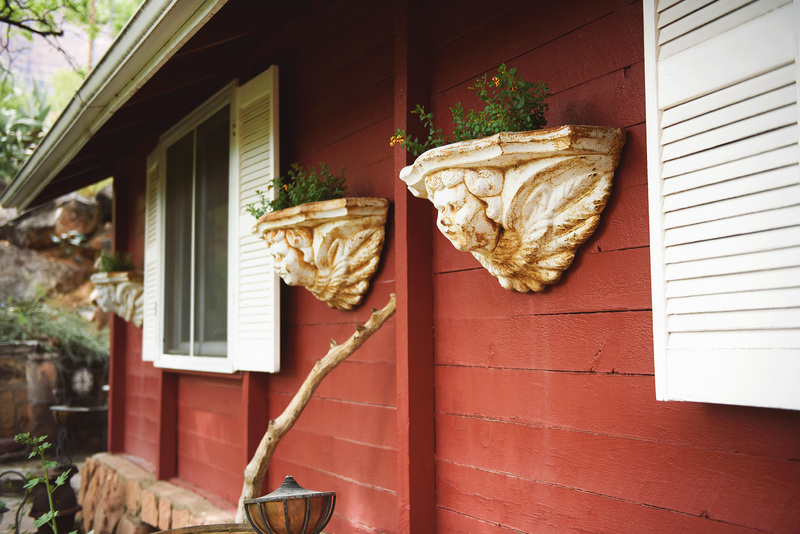 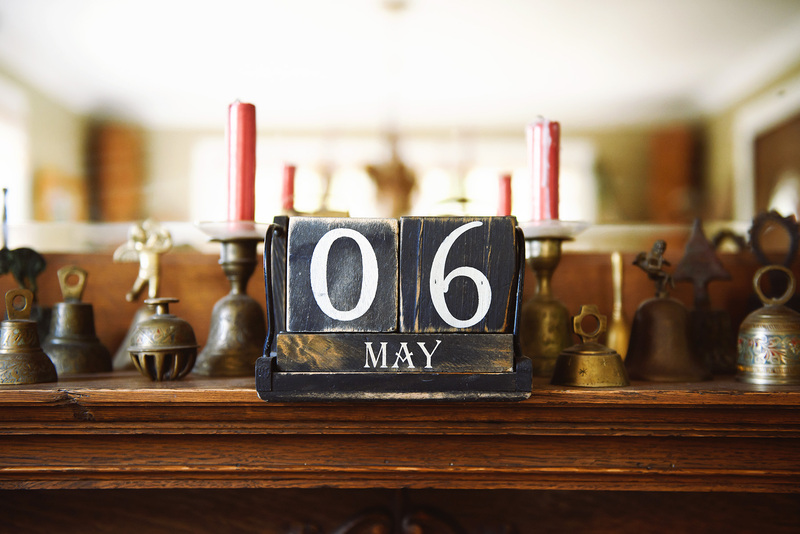 So many fun details all over the property. 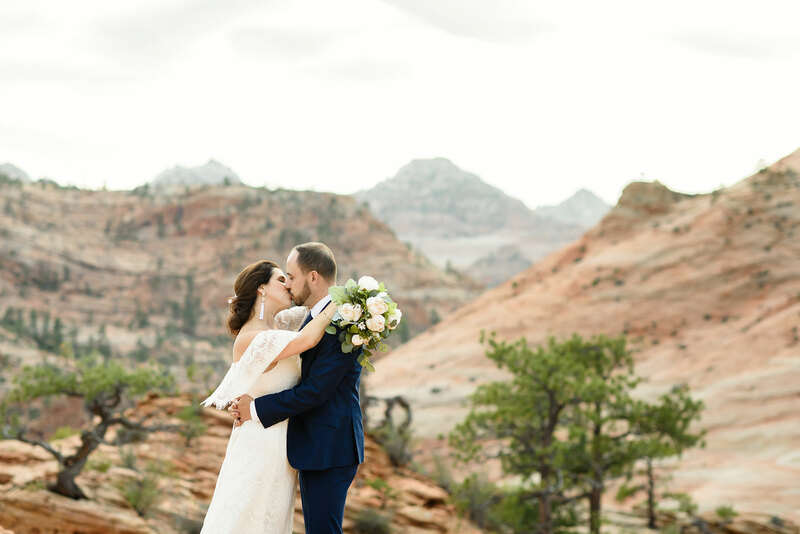 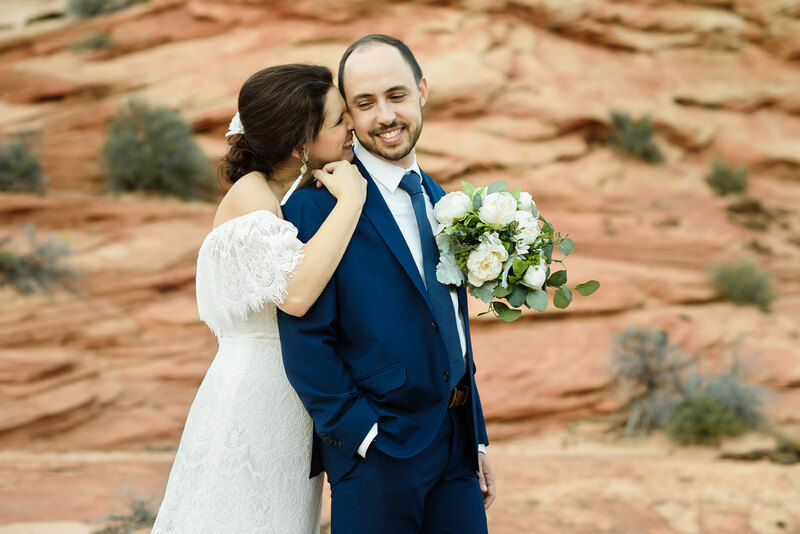 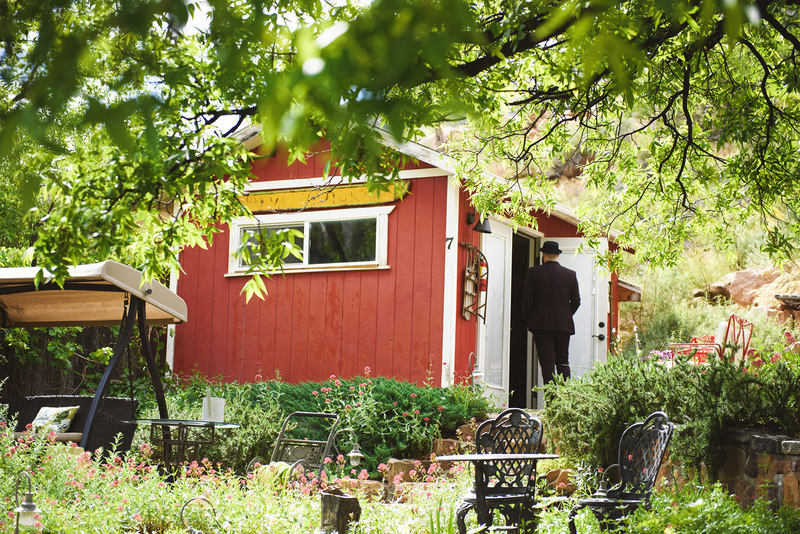 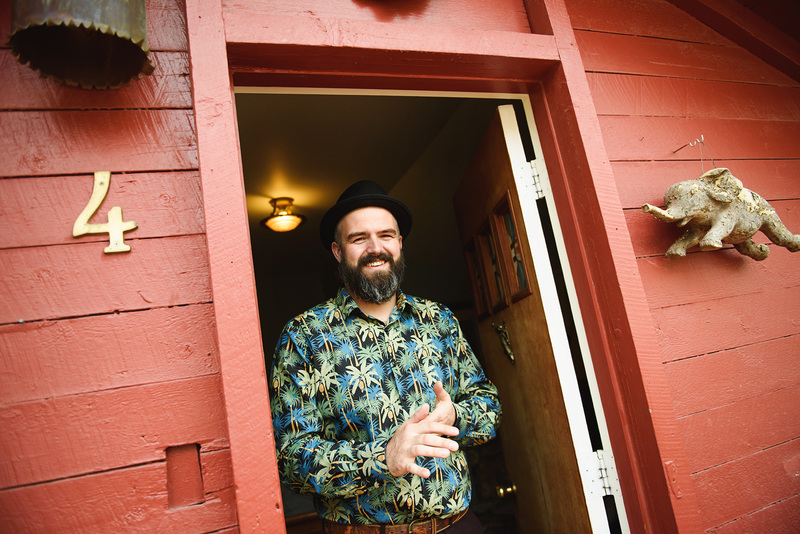 Jamie and Nansi shared a private first look in one of the cabins, and we followed with some portraits of them and their closest family and friends who made the trip to Utah. 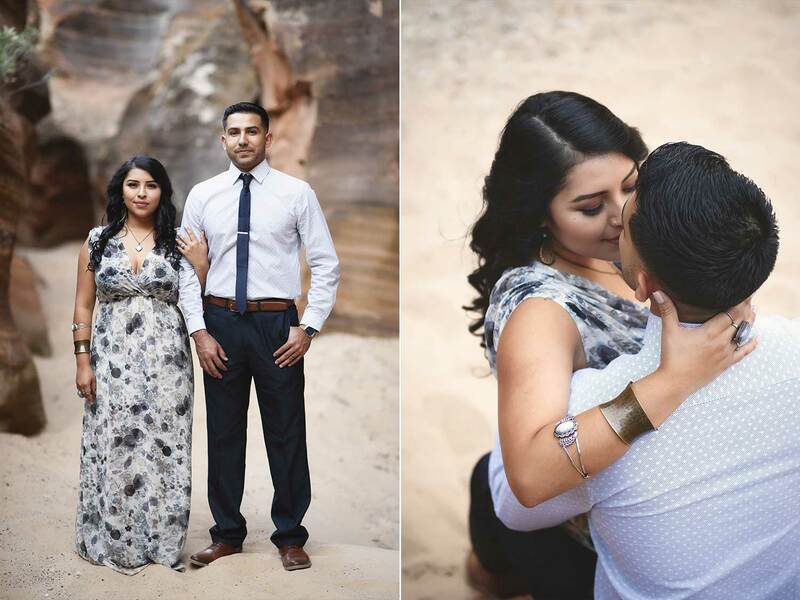 After, we headed into the park to take some couples portraits. 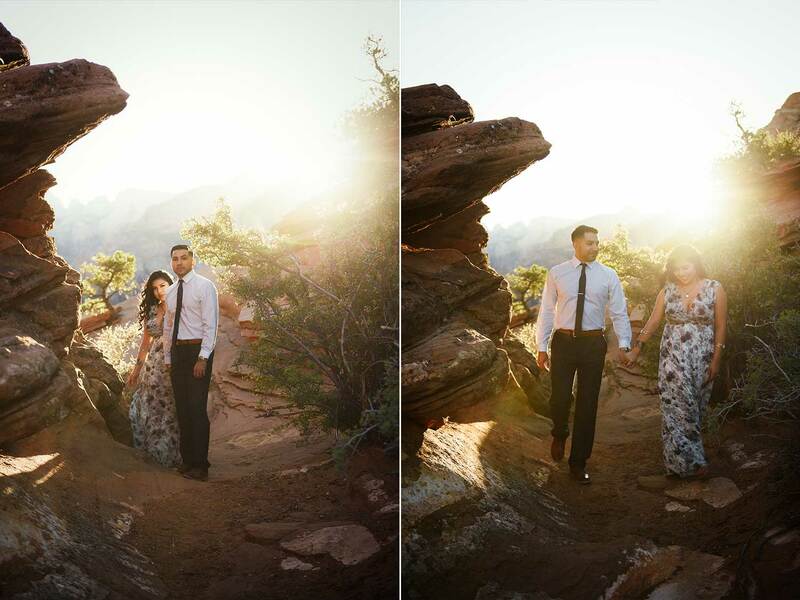 It was very windy but it made for some cool shots that I really ended up loving. 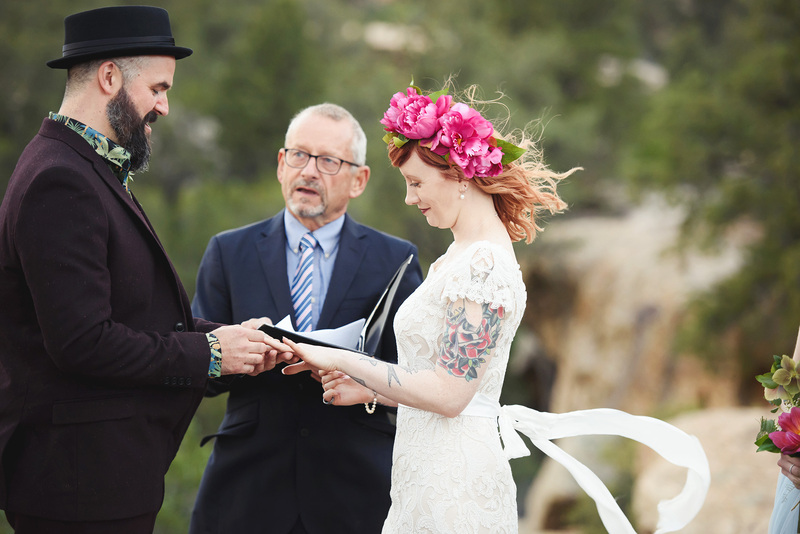 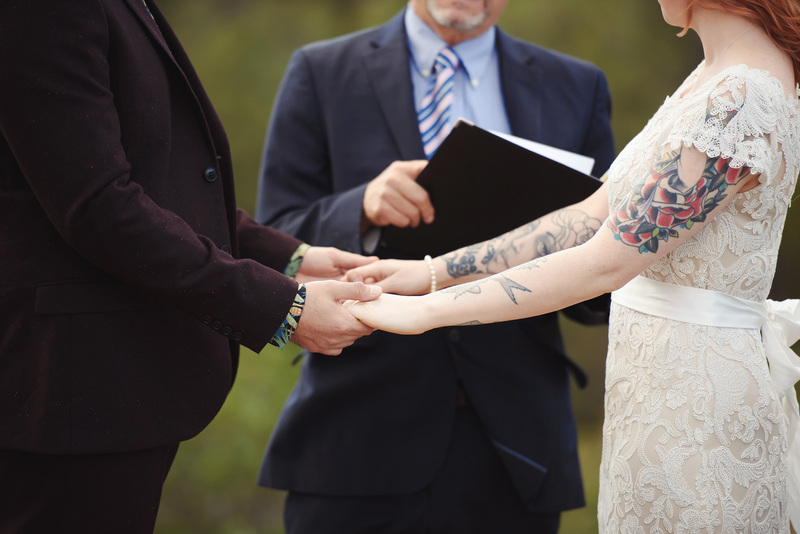 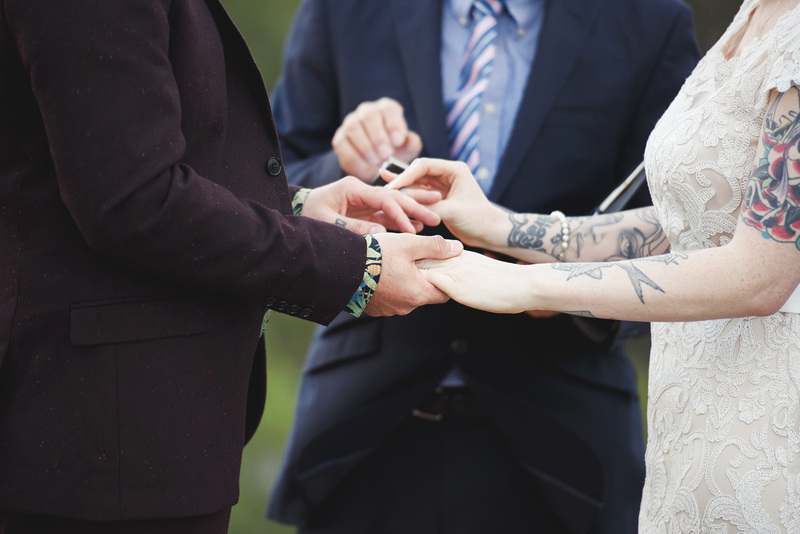 Their ceremony took place right outside the park’s borders at a place called Rockville Bench. 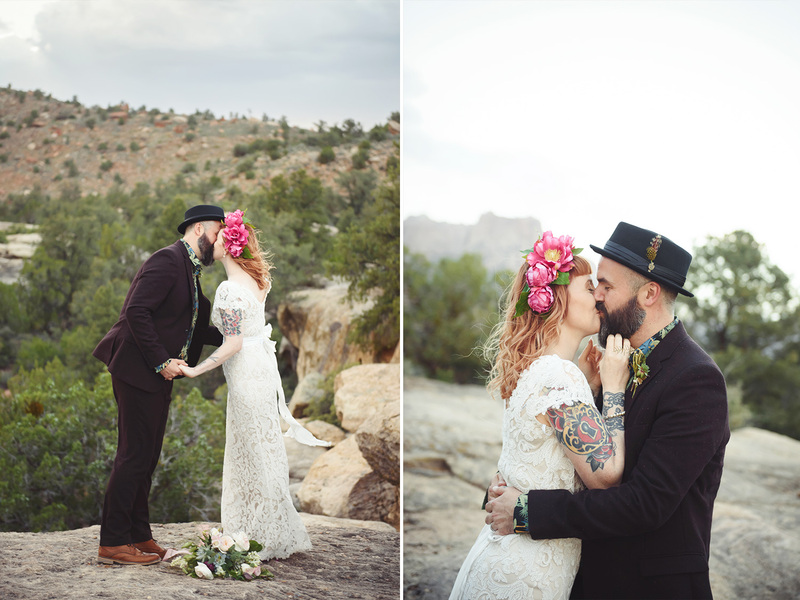 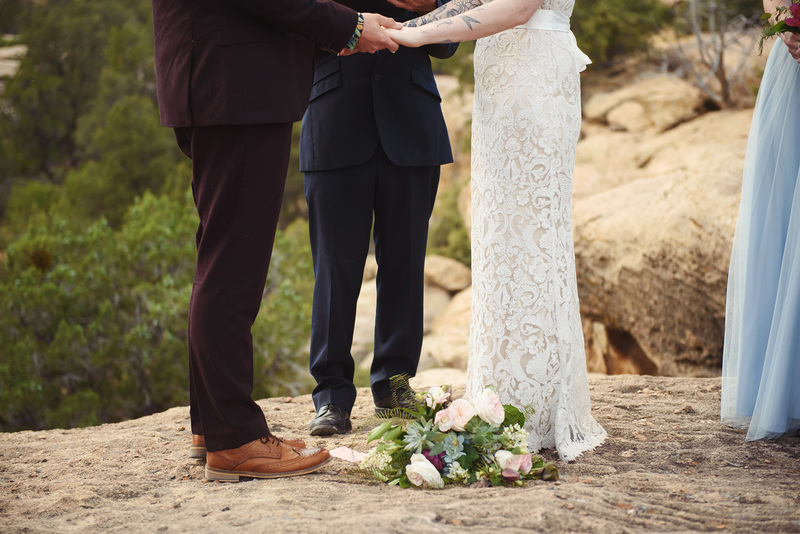 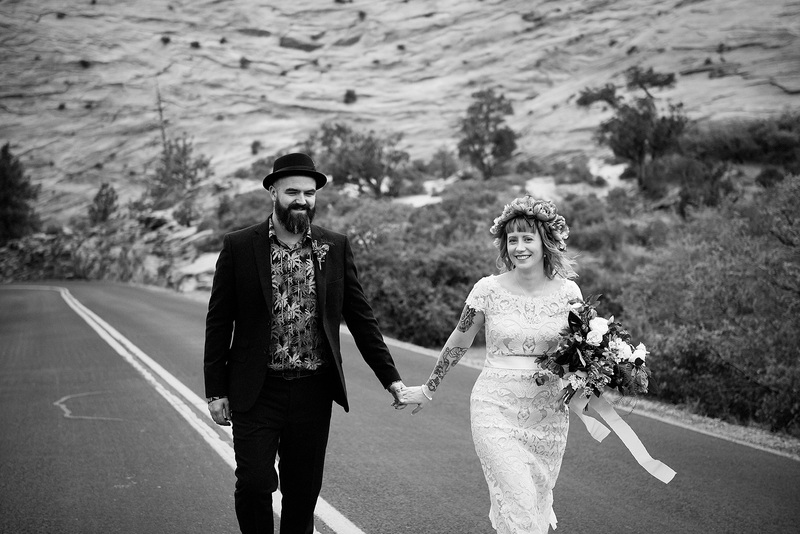 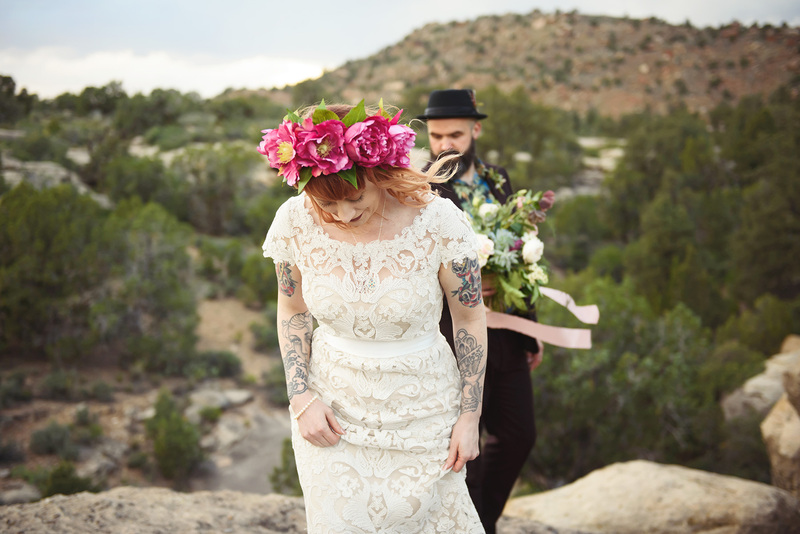 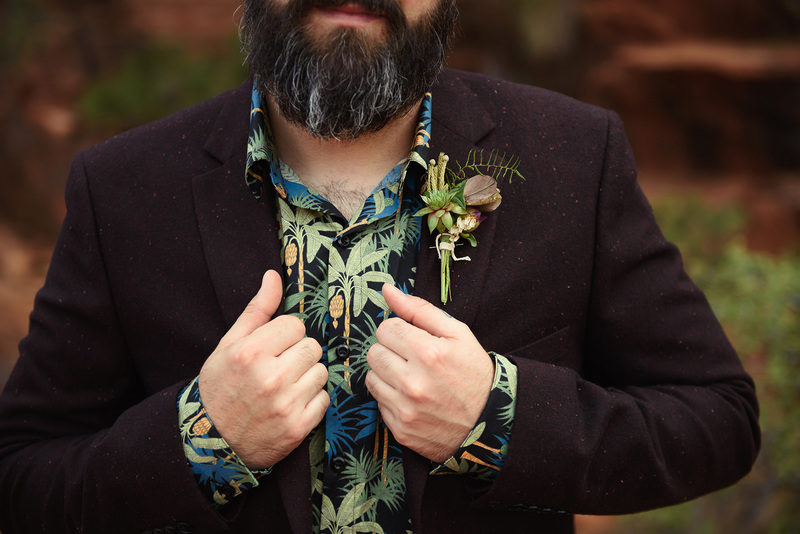 I just loved everything about this elopement. 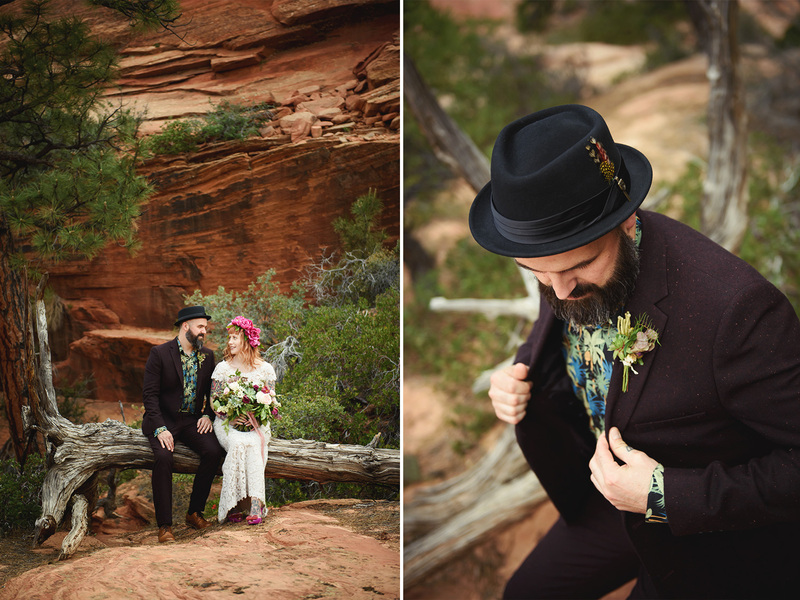 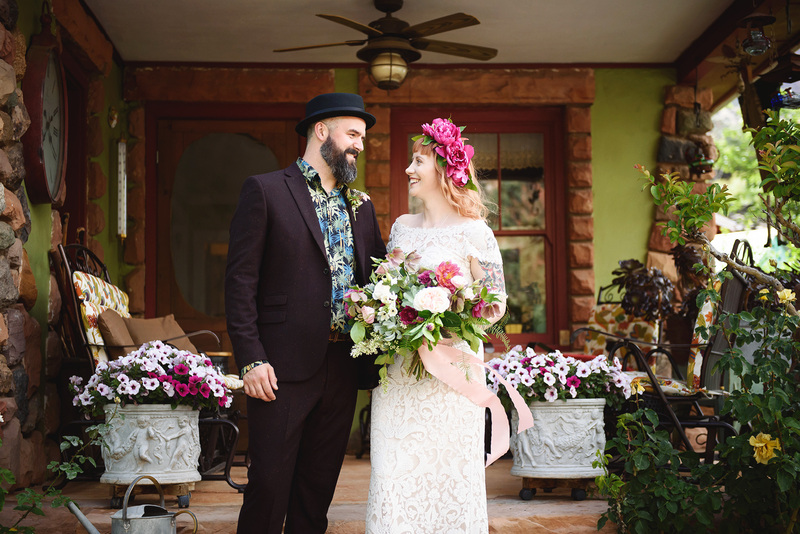 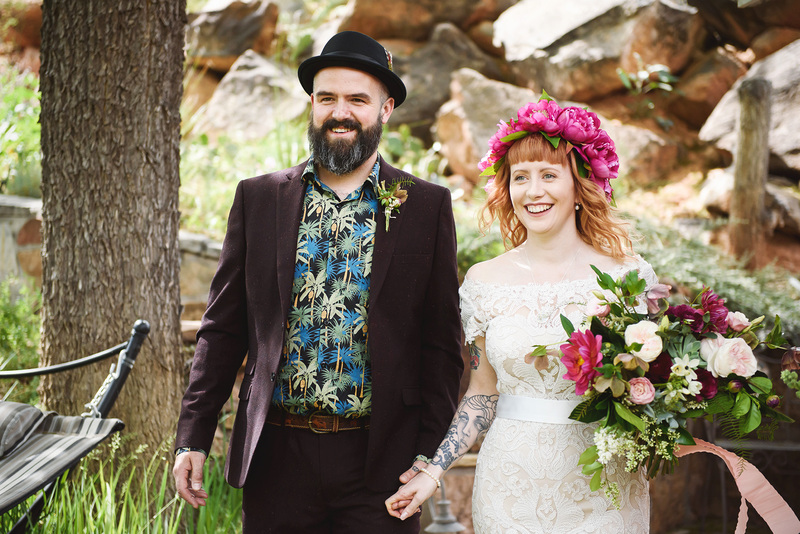 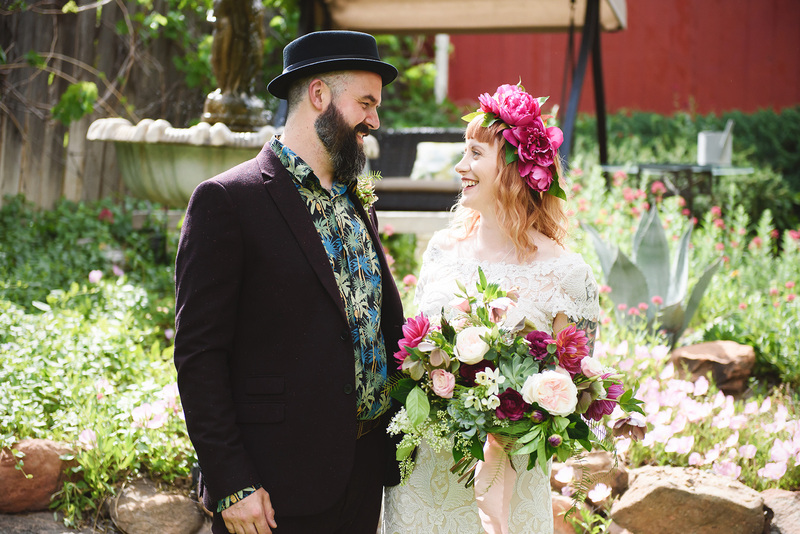 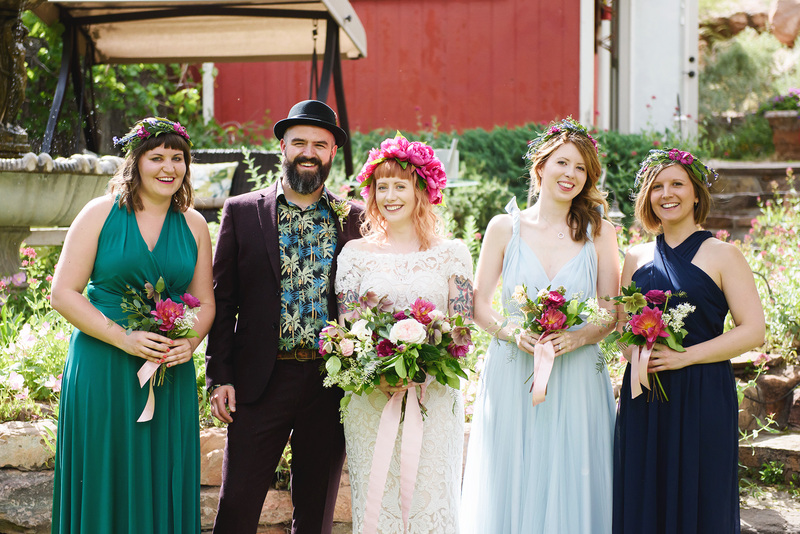 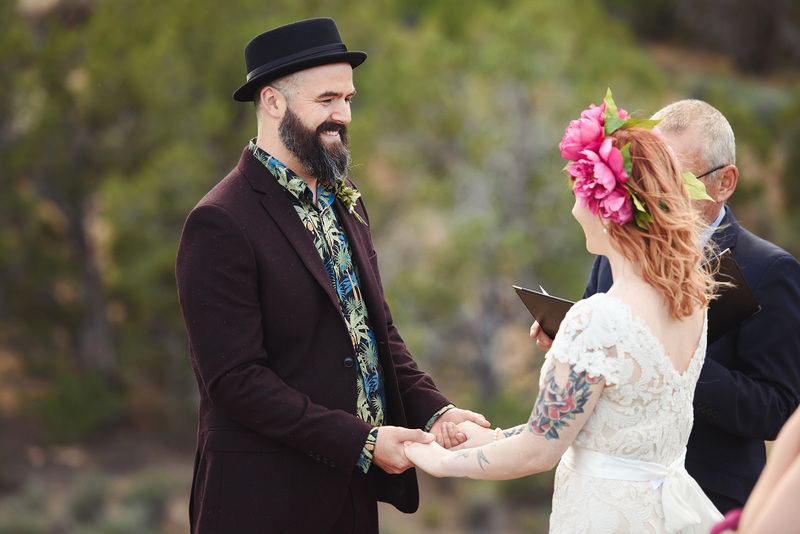 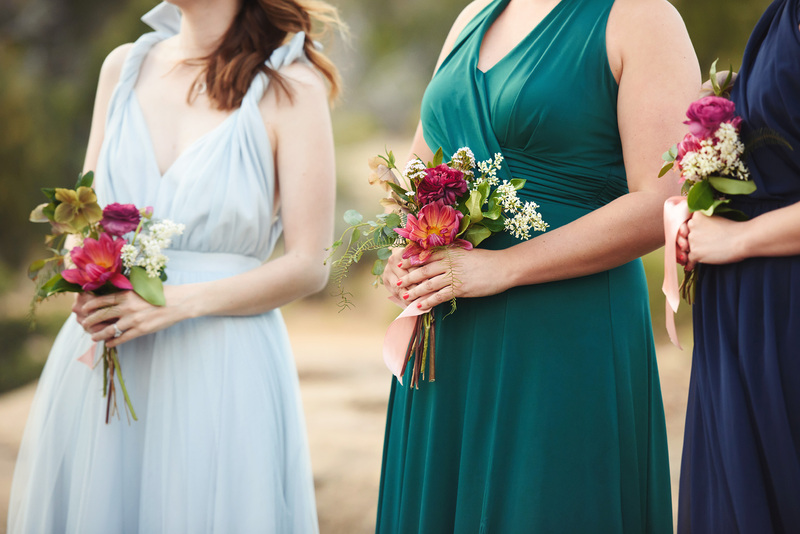 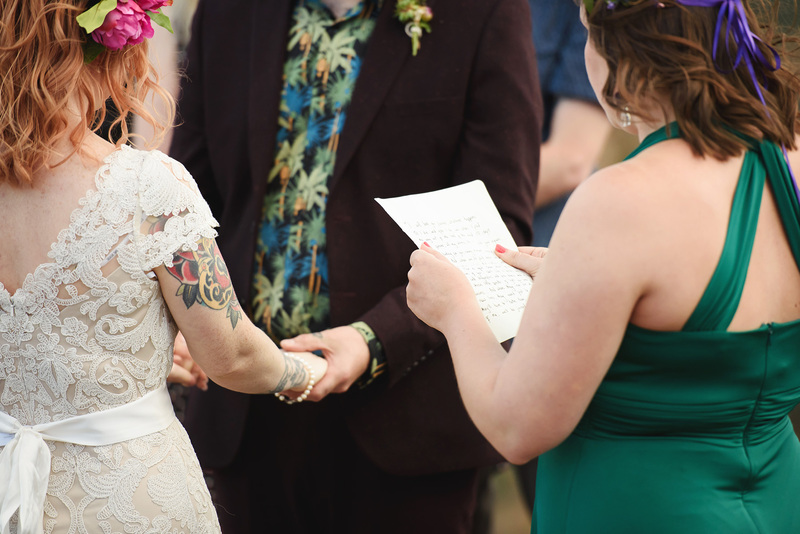 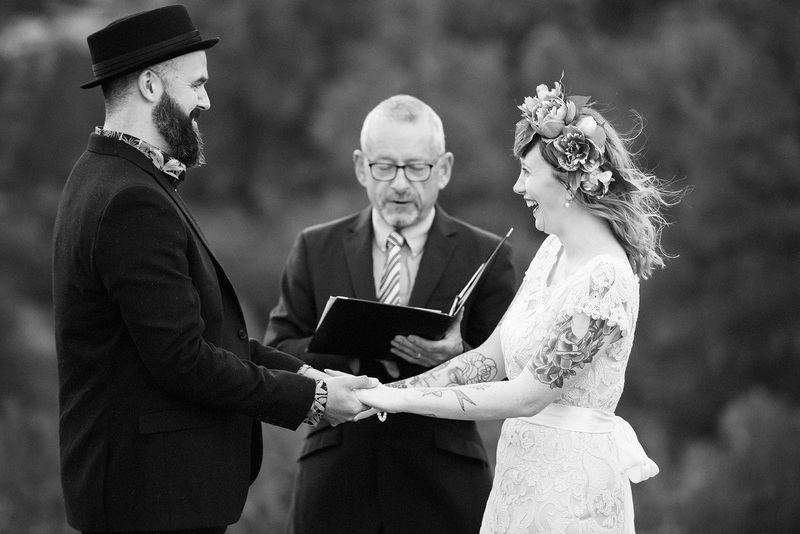 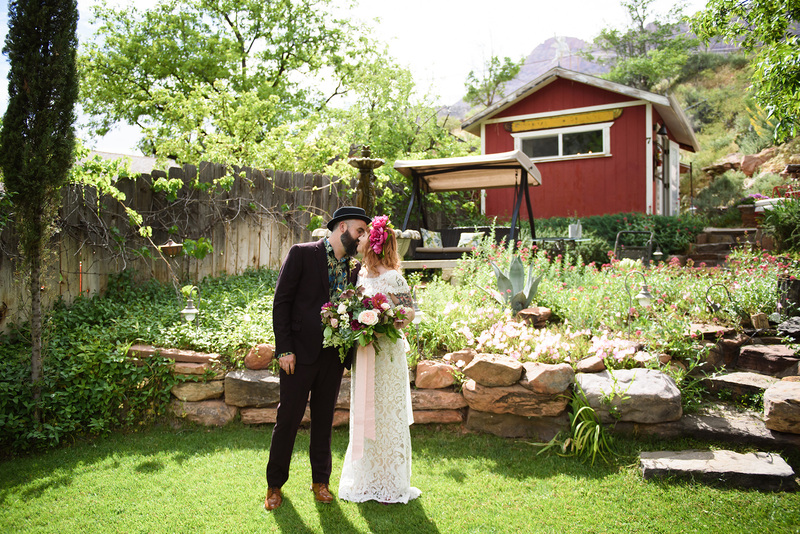 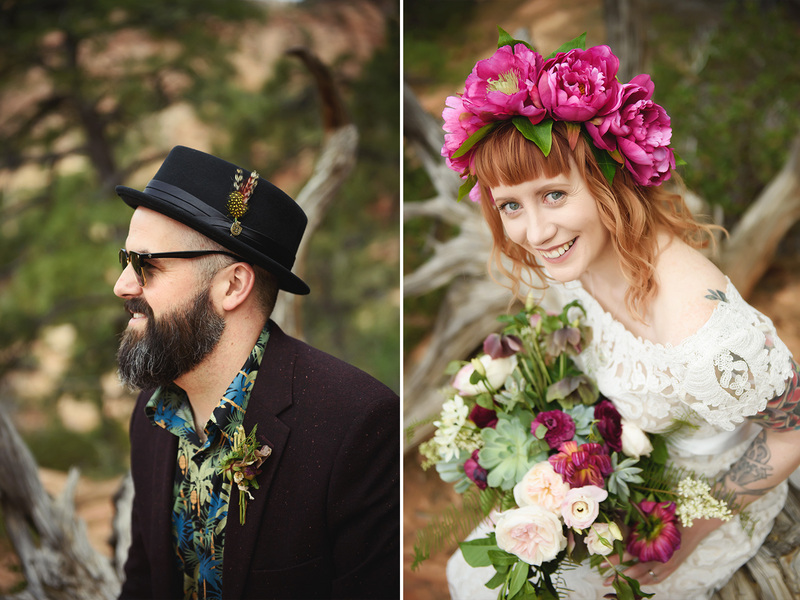 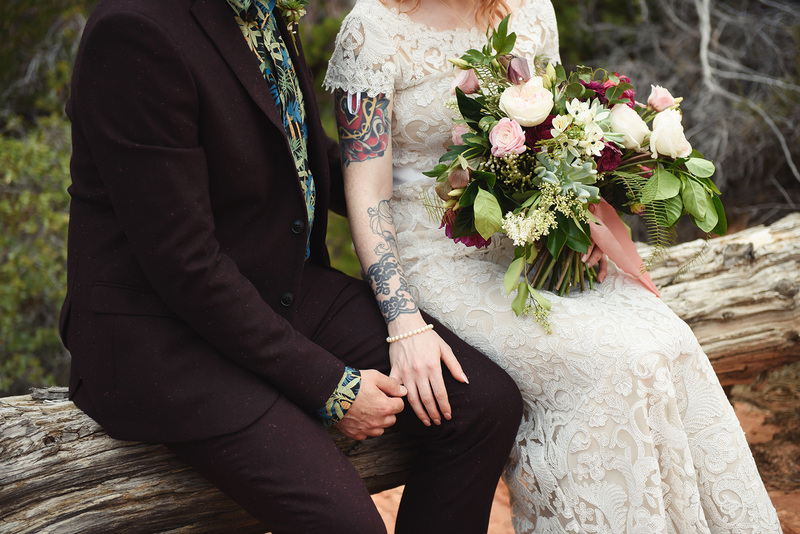 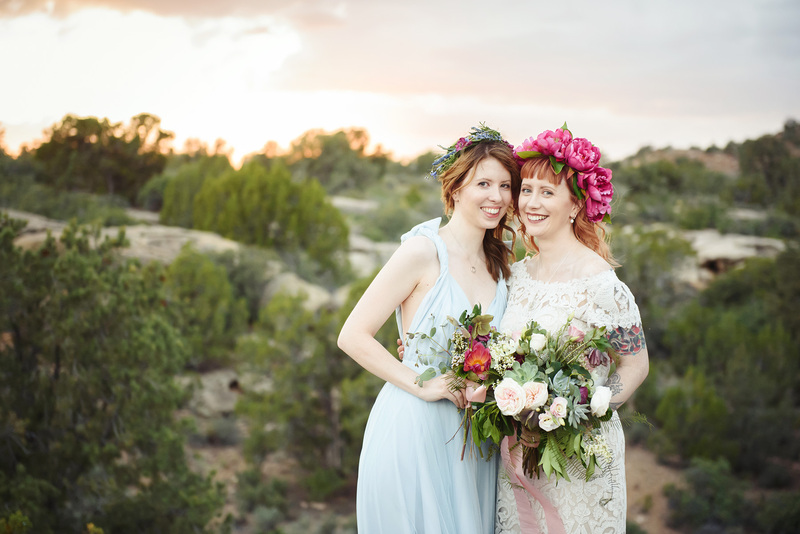 Nansi and Jamie are the sweetest people, and their quirky style was to die for. 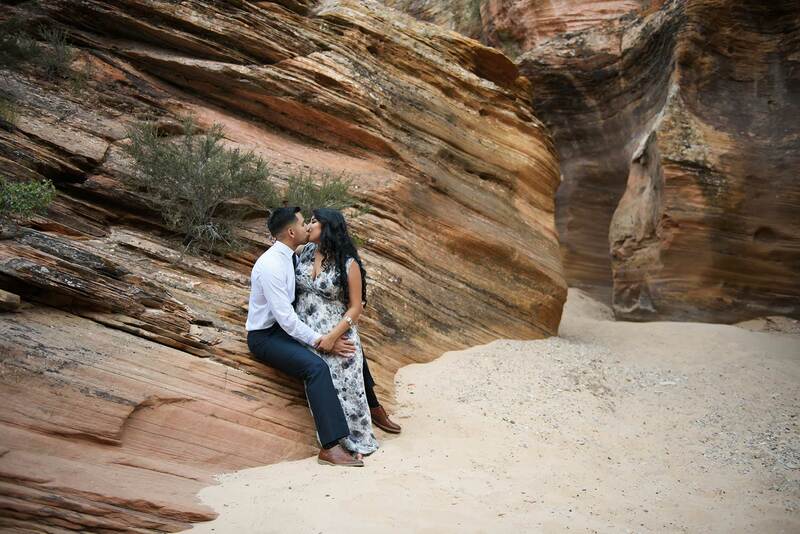 I hope they get to come back and visit us soon. 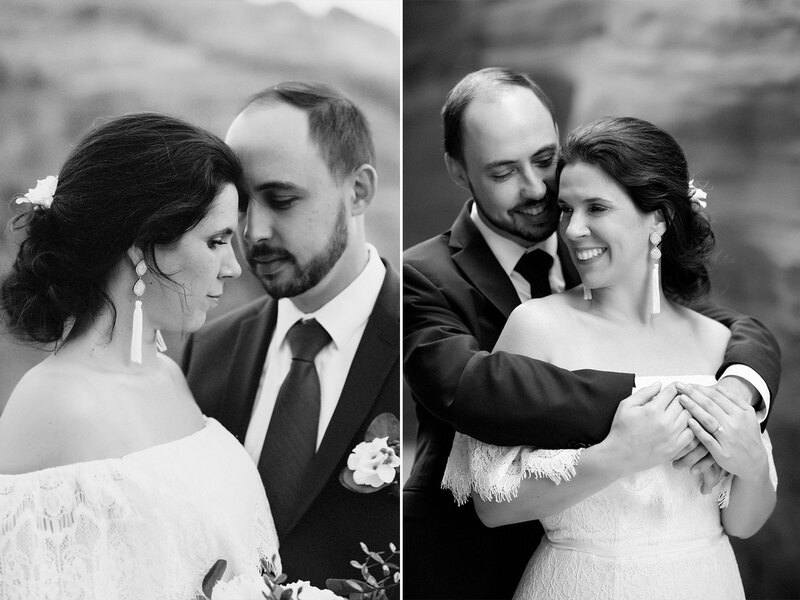 Alex & James are one of those couples that make my job really easy, their chemistry is off the charts! 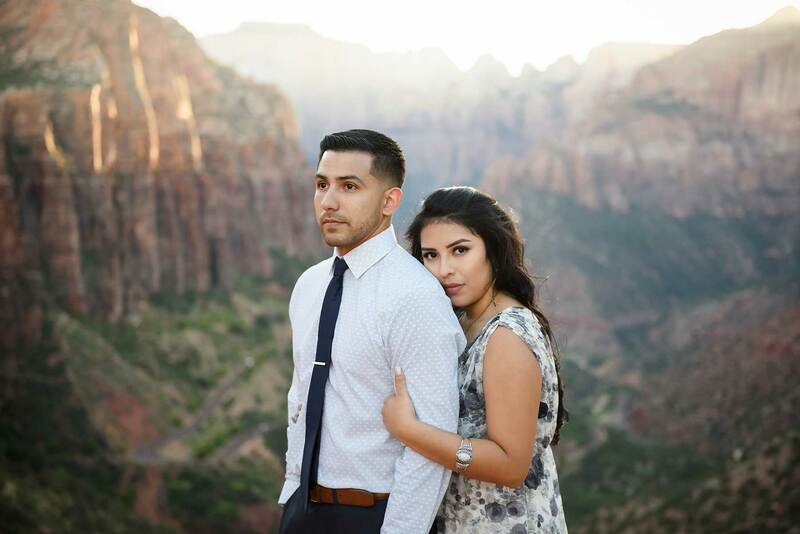 James is in the air force and currently piolets drones, he wants to become an officer once he finishes school. 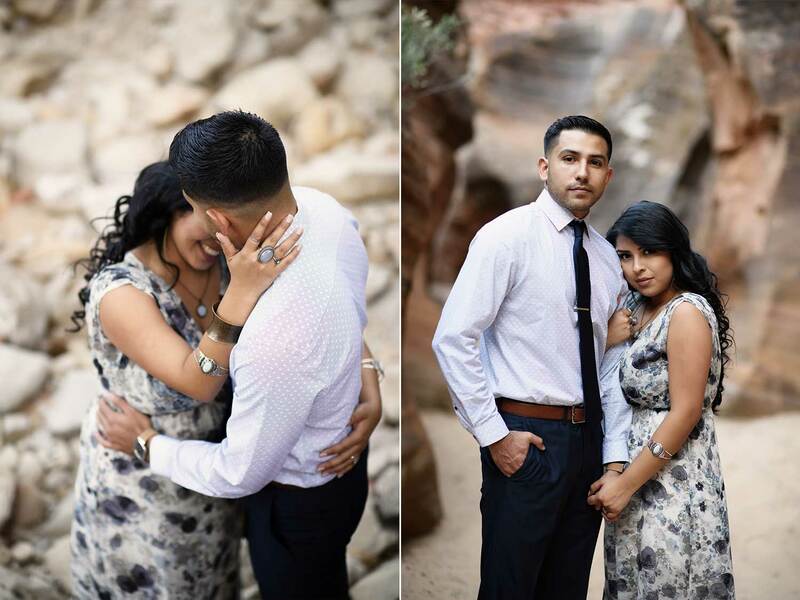 They are both from Texas but currently live in Las Vegas. 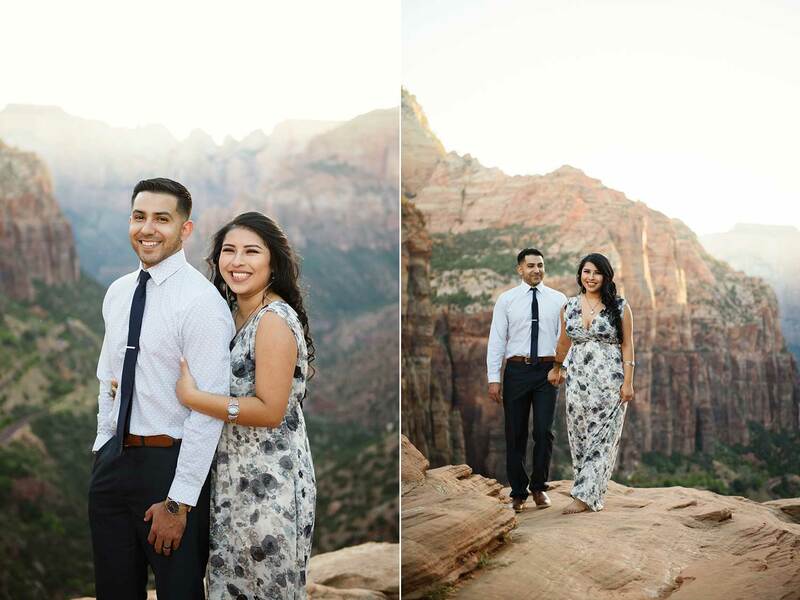 They wanted something different for their engagement photos and I’m so happy they decided to come to Zion National Park and hang out with me! 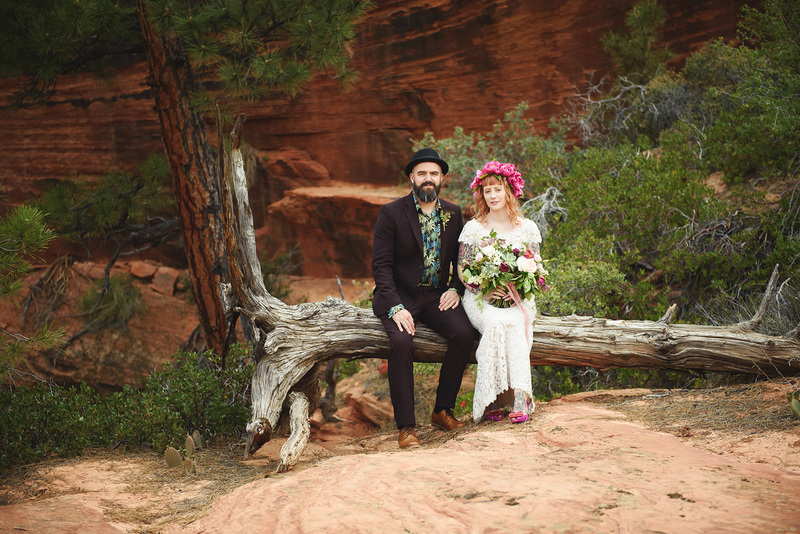 Meredith and Rudy have been together for about 3 years, they currently live in Memphis TN. 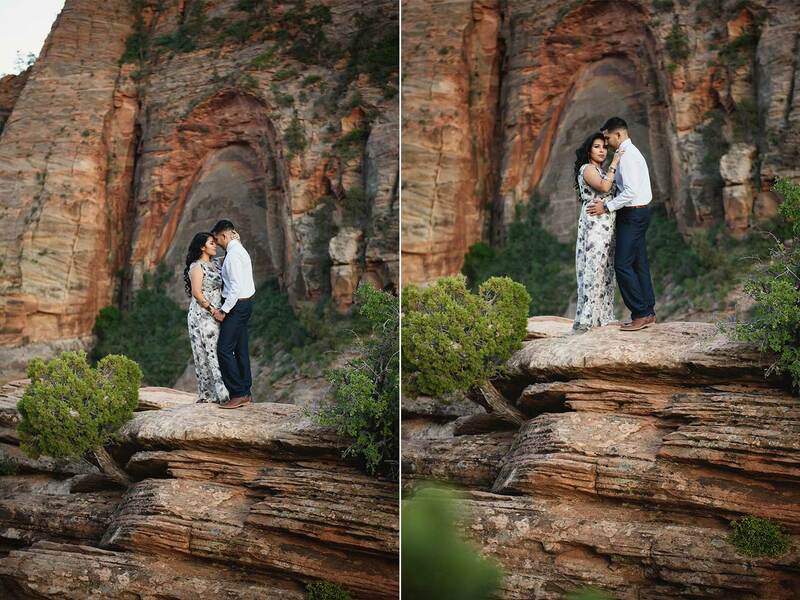 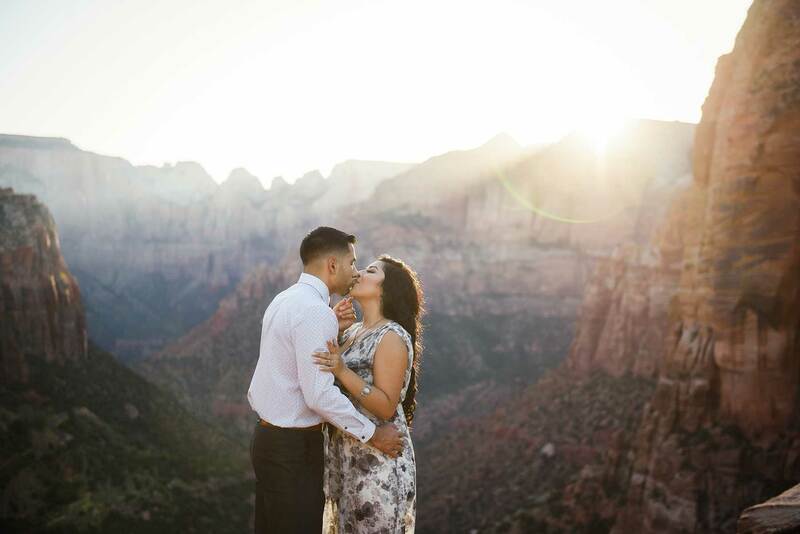 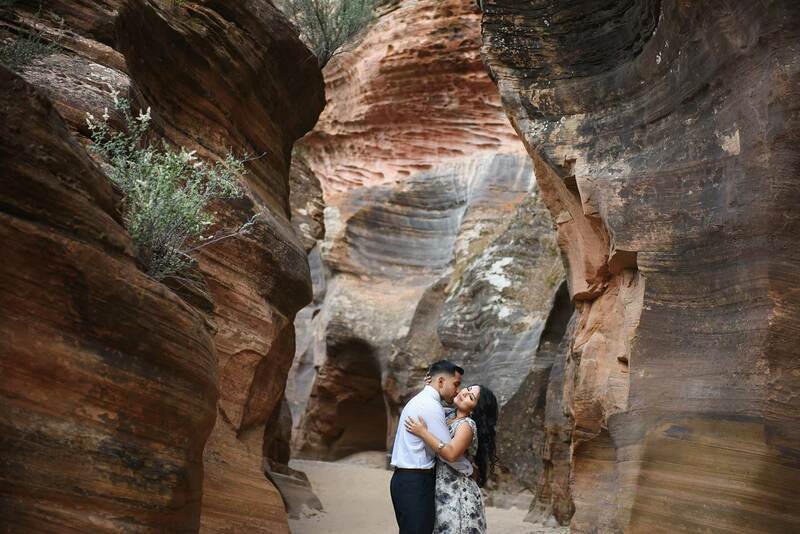 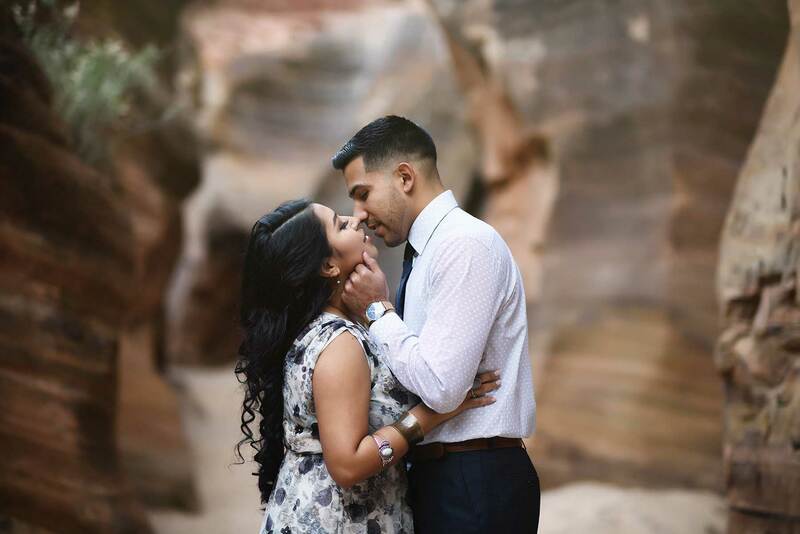 They decided to elope to Zion National Park on a whim and I was lucky enough to be their photographer. 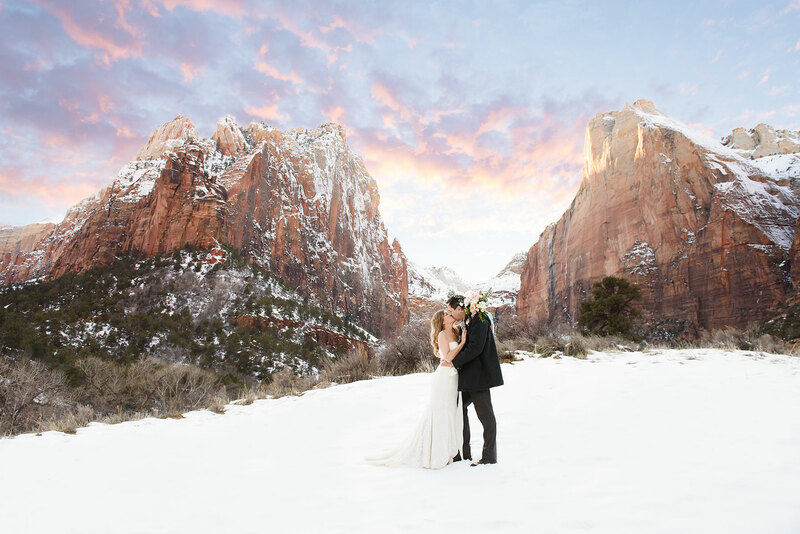 Zion National Park in the winter is something to behold on its own, but when you add an adorable couple to the mix you get magic like this!